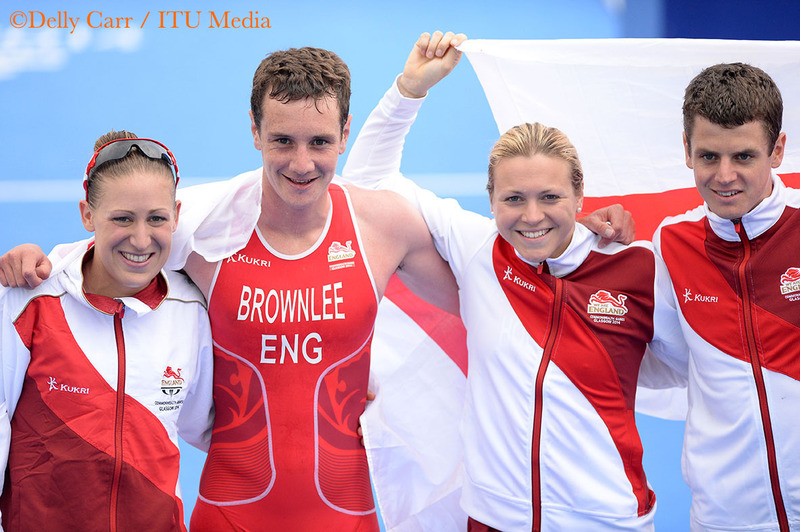 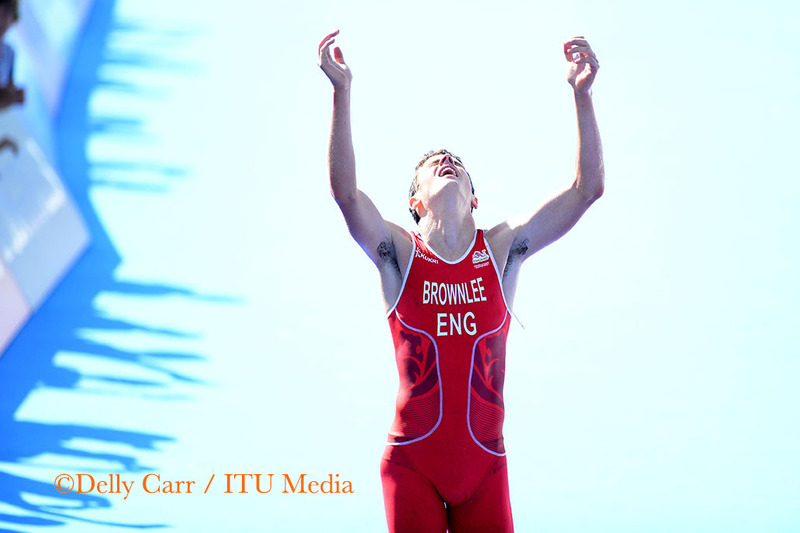 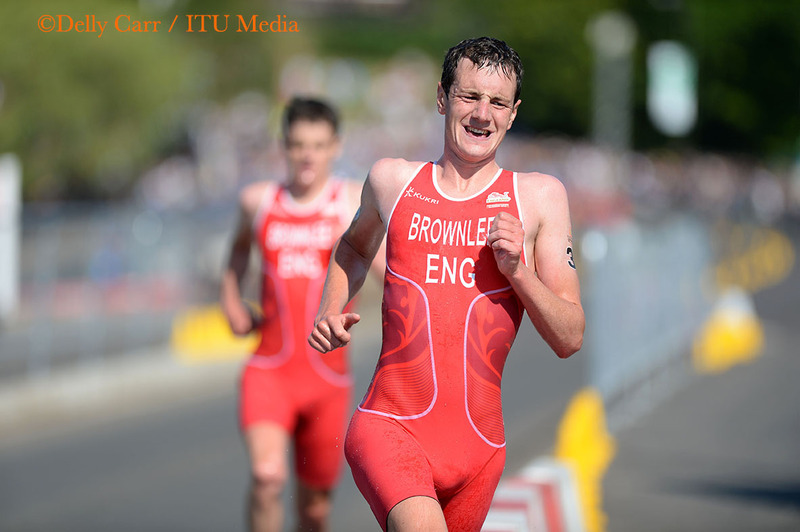 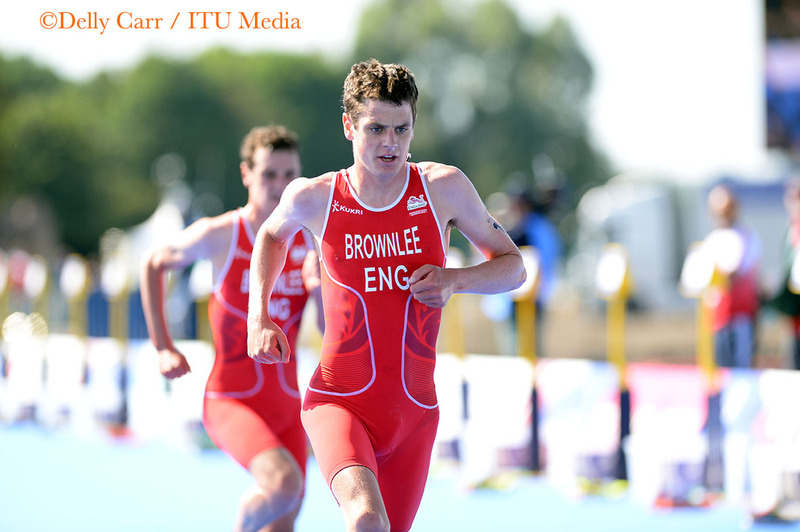 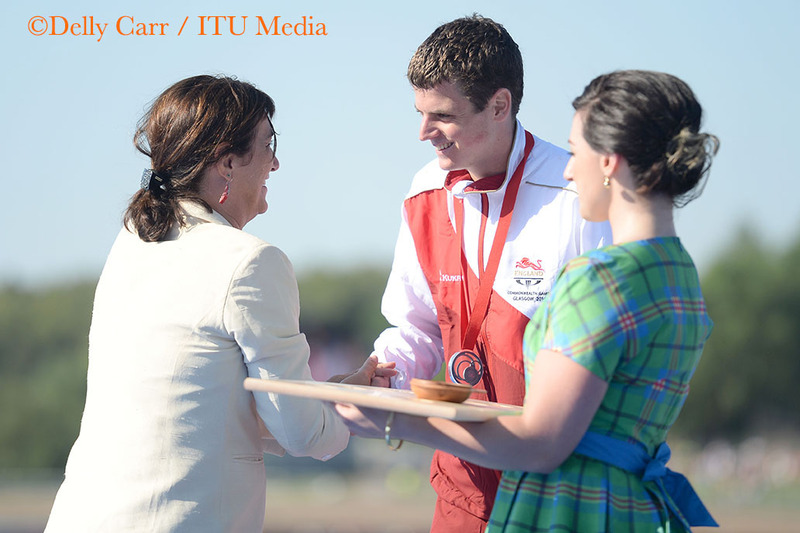 With a pre-race plan to spread the men out early in the race, English siblings Alistair Brownlee and Jonathan Brownlee executed to perfection to become the first gold and silver medallists in men’s triathlon. 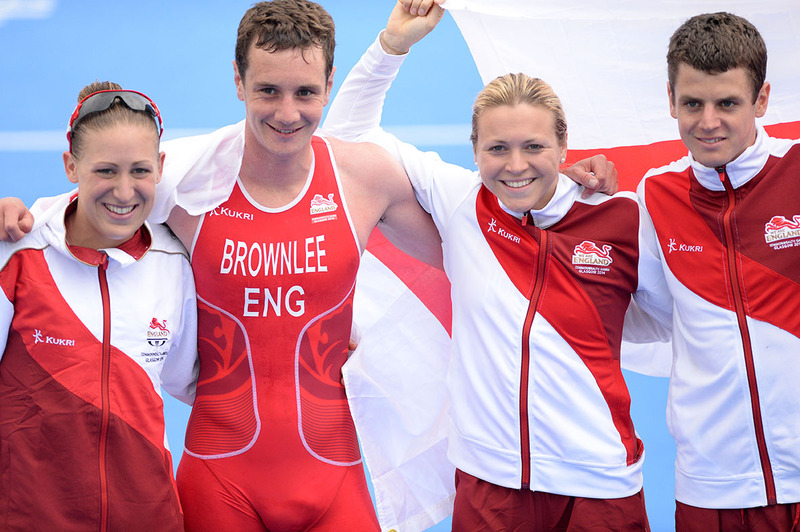 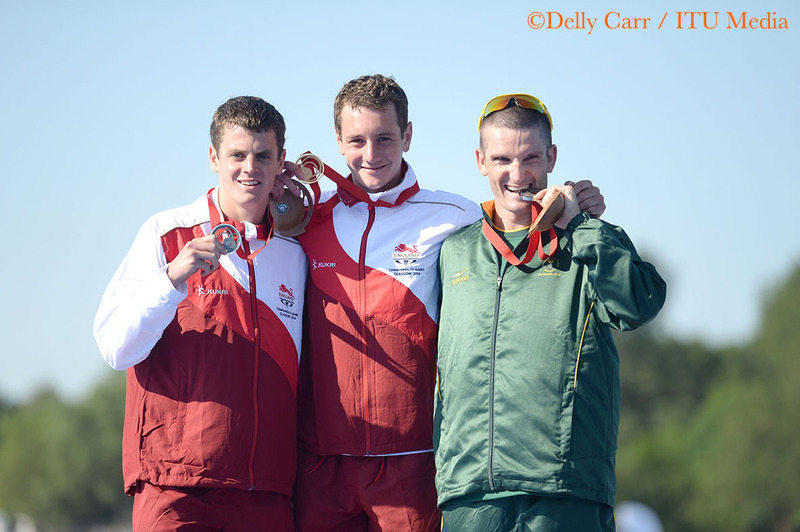 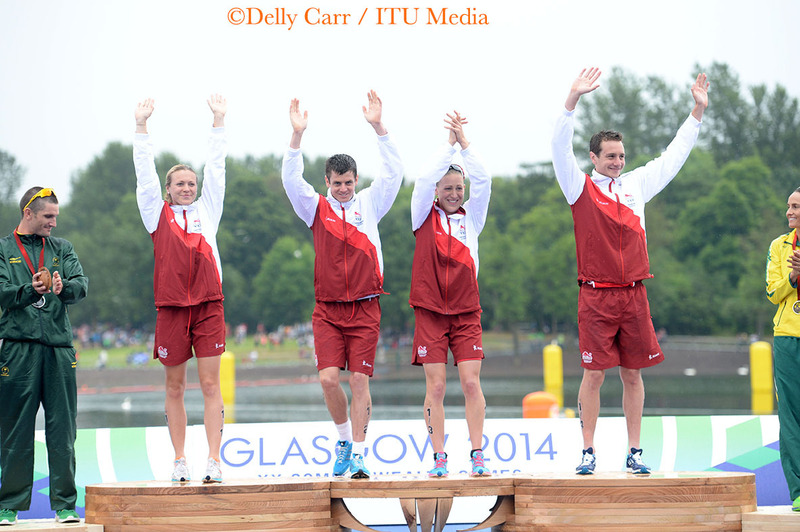 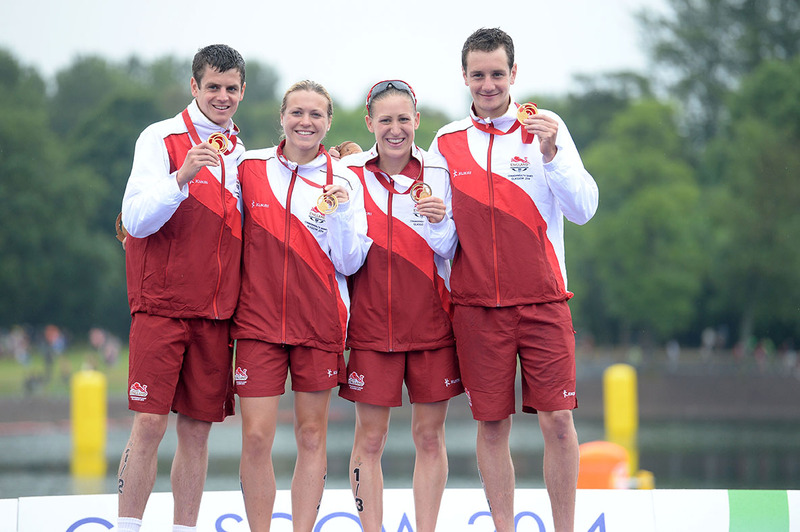 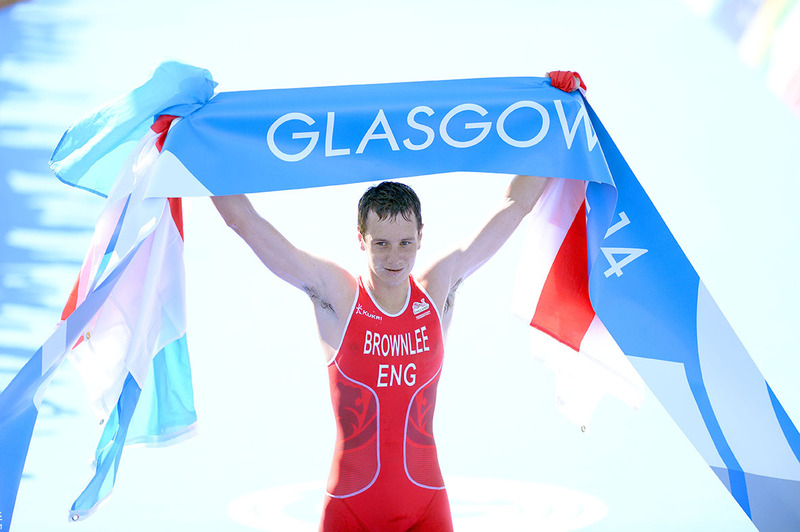 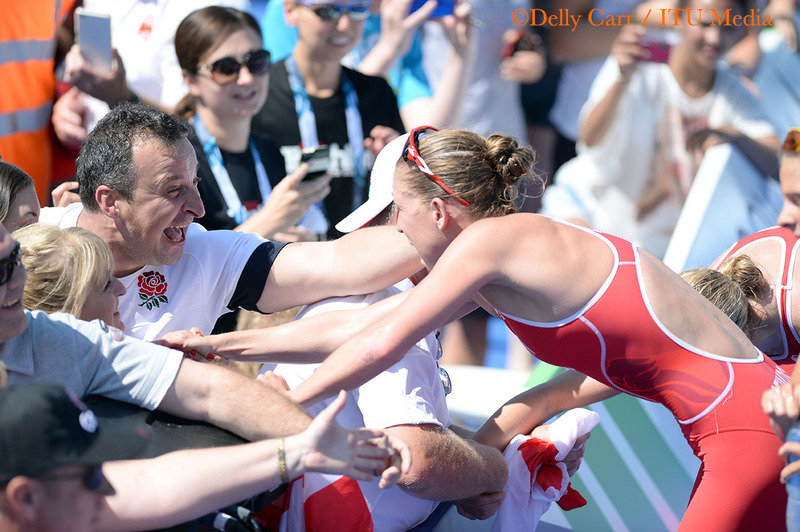 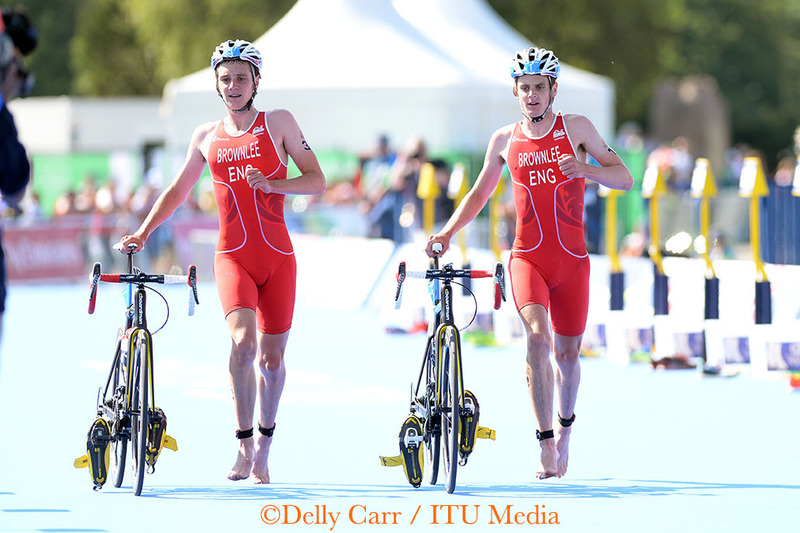 With their podiums, they became the first men ever to win triathlon medals for England at the Commonwealth Games. 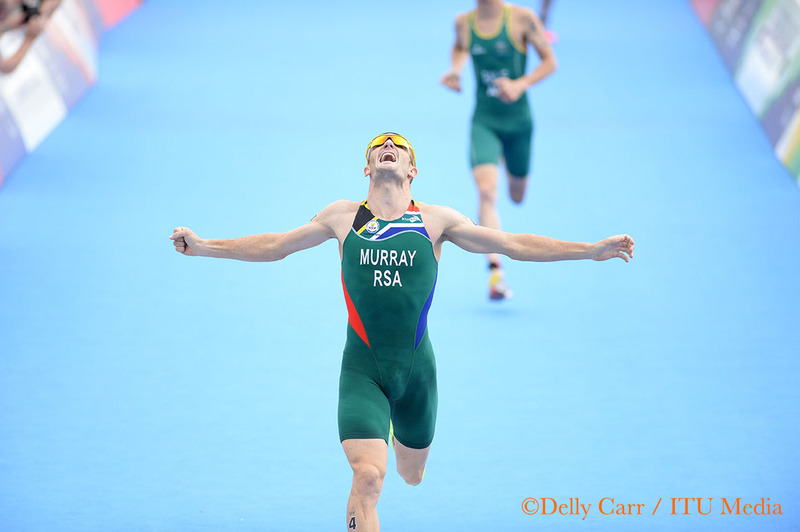 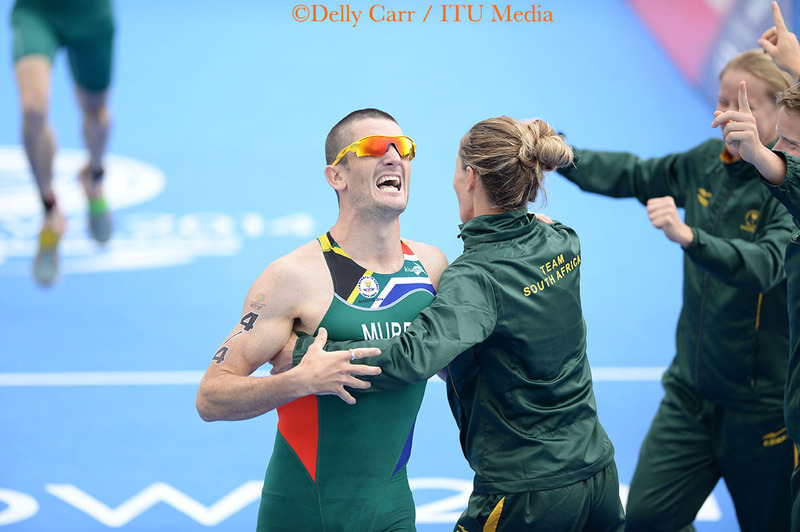 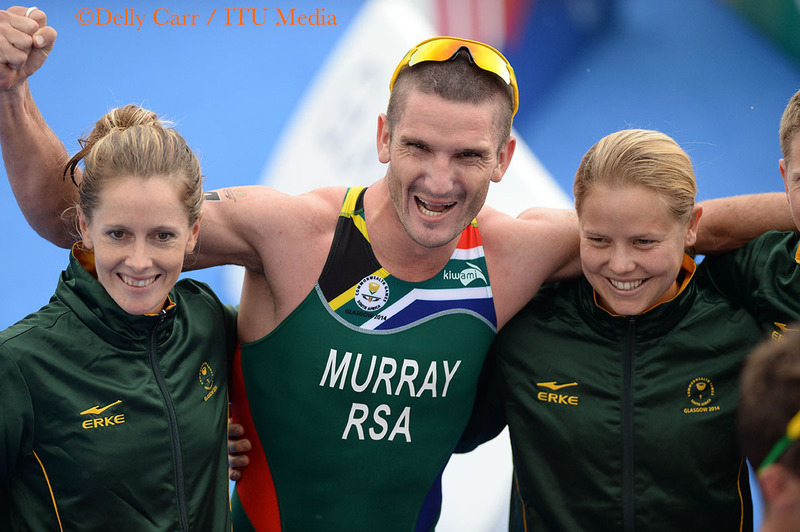 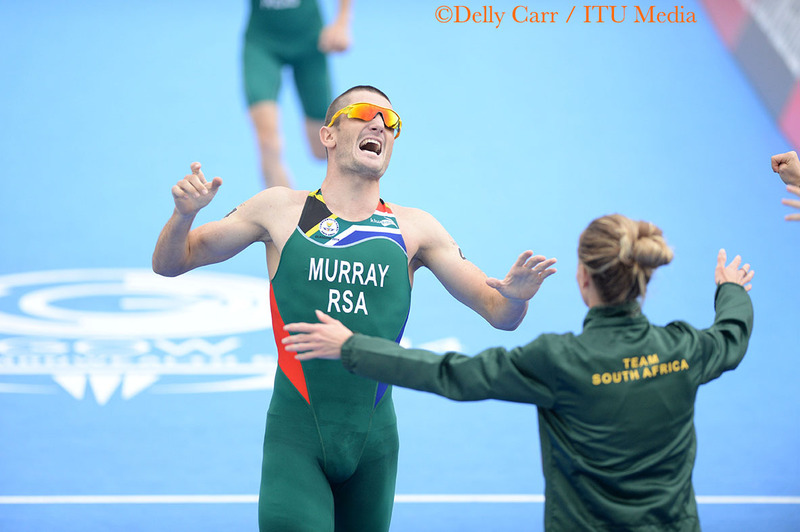 Richard Murray also put South Africa on the Commonwealth podium for the first time when he rounded out the top three with bronze. 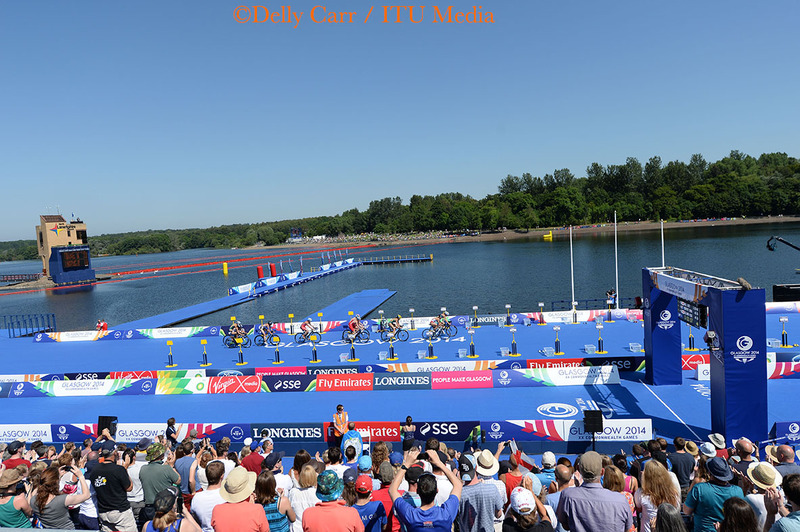 Starting with a tormenting speed on the swim, the Brownlees, together with South Africa’s Henri Schoeman, shook off the Strathclyde Loch water ahead of the crowd and picked up their bikes in solid control of the race. 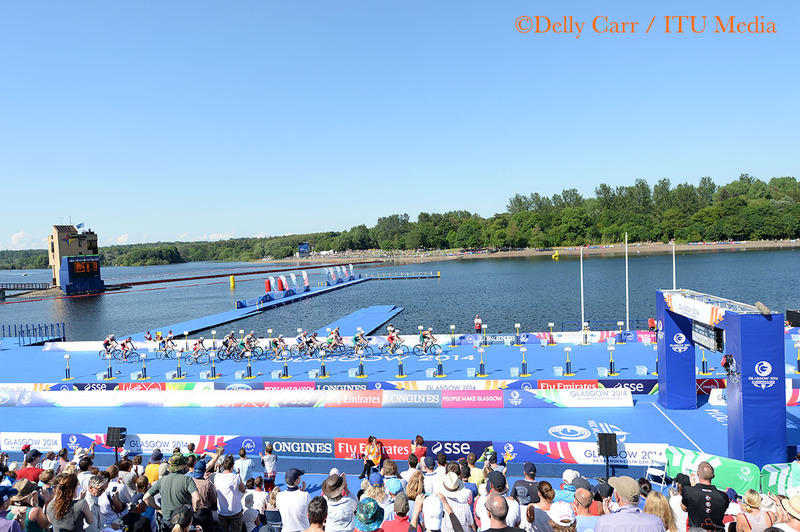 While Canada’s Matt Sharpe and Australia’s Ryan Bailie and Aaron Royle also exited the water in the lead pack, an expert transition saw the English lads get an early start on the bike. 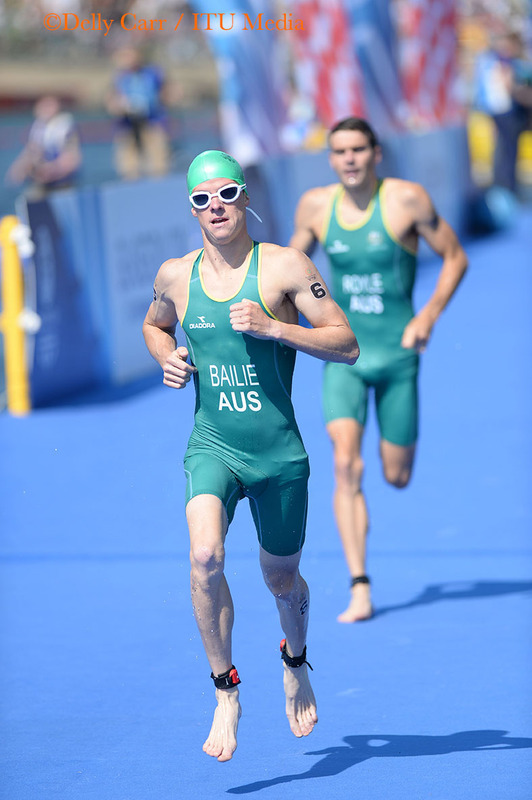 Those precious early seconds on two wheels proved pivotal in the outcome, as the Brownlees were able to push ahead of everyone but Marc Austin (SCO) and Schoeman. 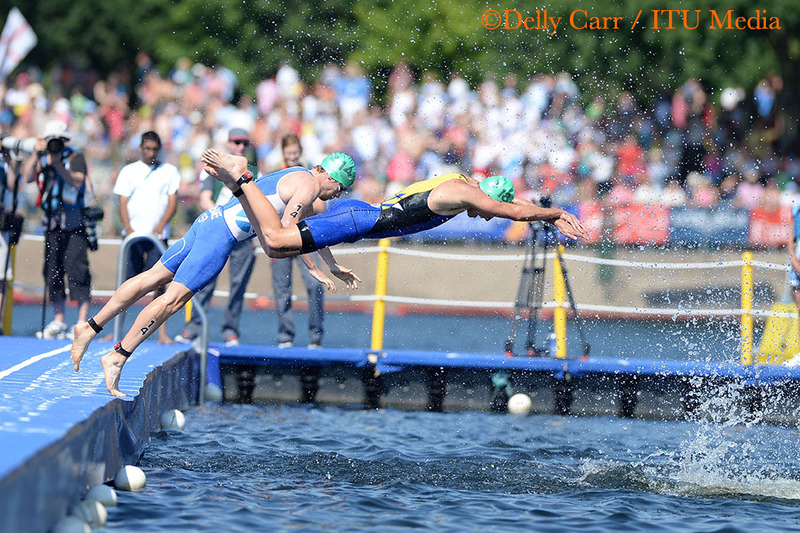 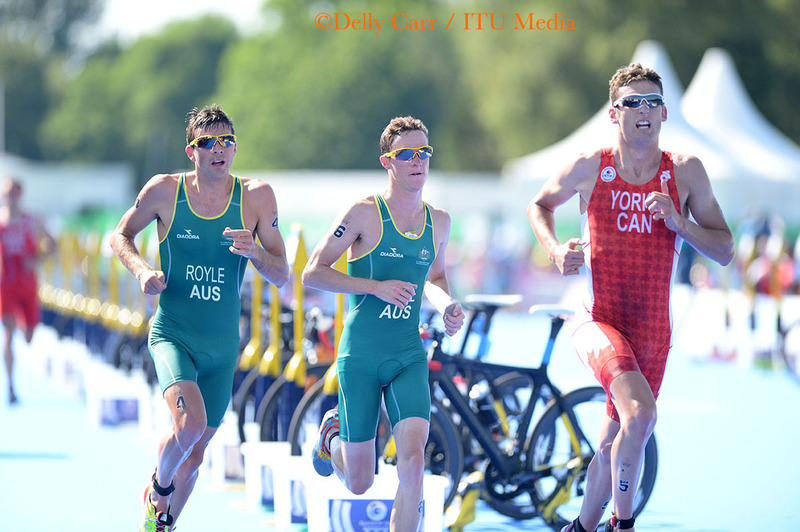 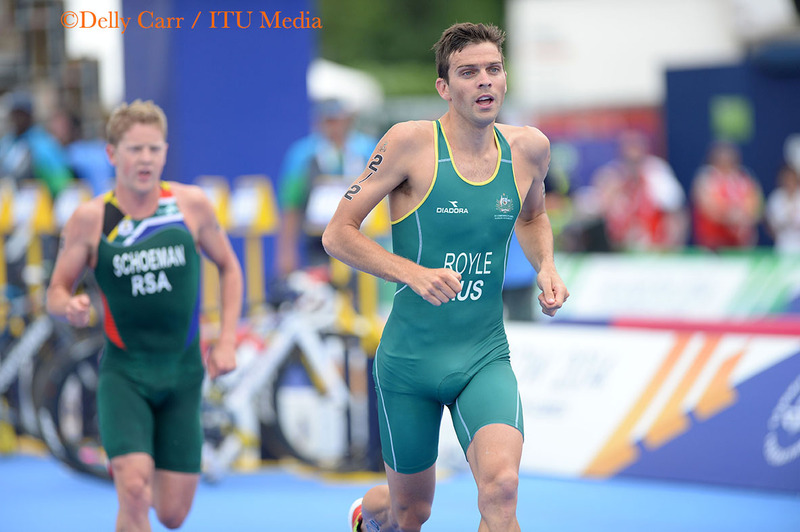 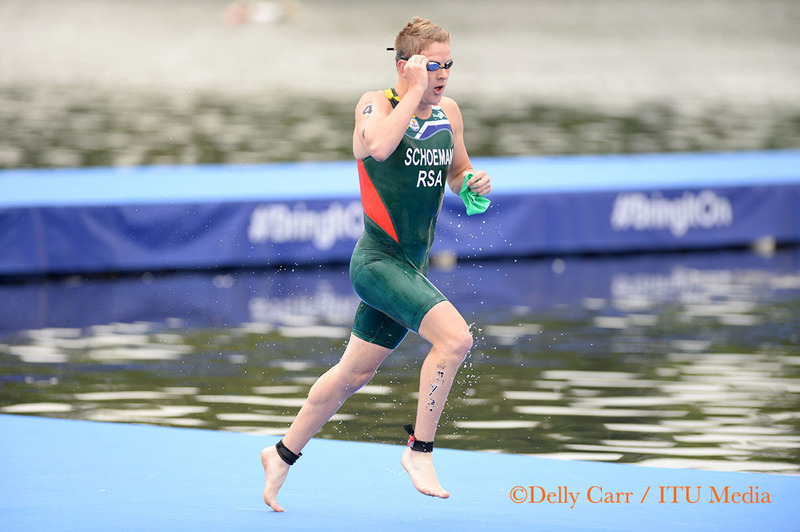 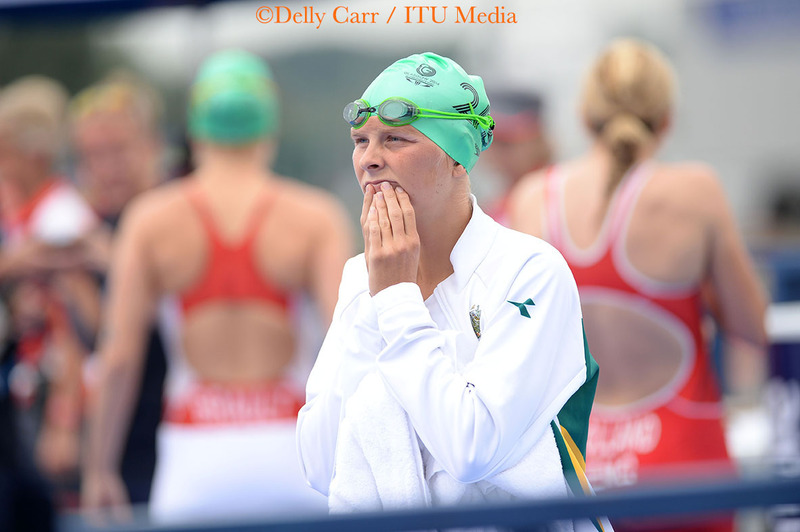 The two young bucks were primed to go with the Brownlees, but Schoeman made a costly early mistake when he overshot a left hand turn that sent him sailing into the course fence. 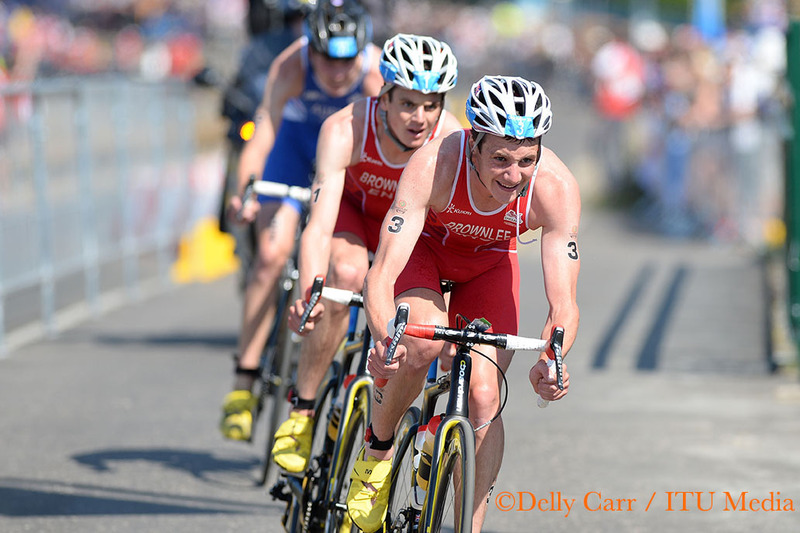 The wide turn made it a party of three, with the pair of English men and the brash young Scot setting off to attack the tough hilly course together. 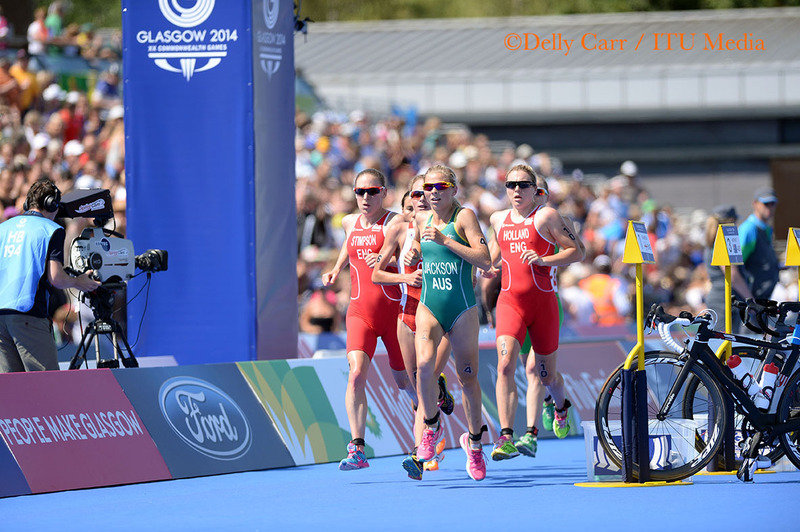 Behind them, a large chase pack formed, but failed to chip away at the sizeable gap. 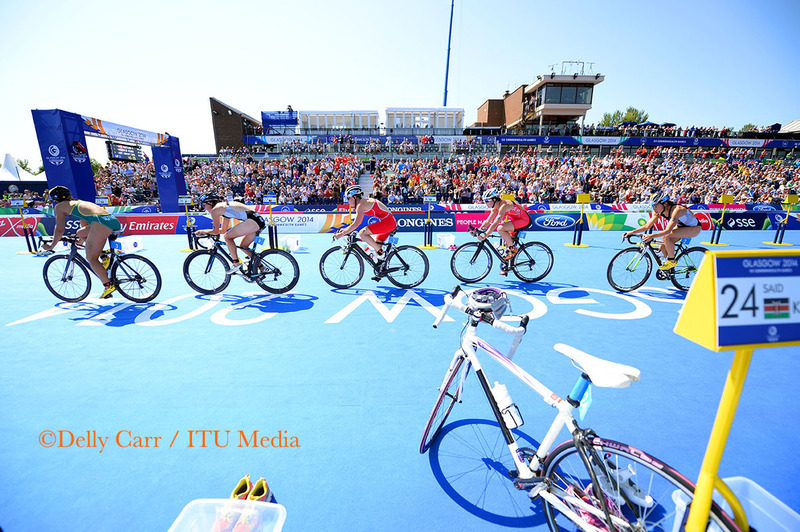 More than a minute down after the second bike lap, Tom Davison’s bike speed started to take effect when he caught up to the chase pack and took his seat at the front midway. 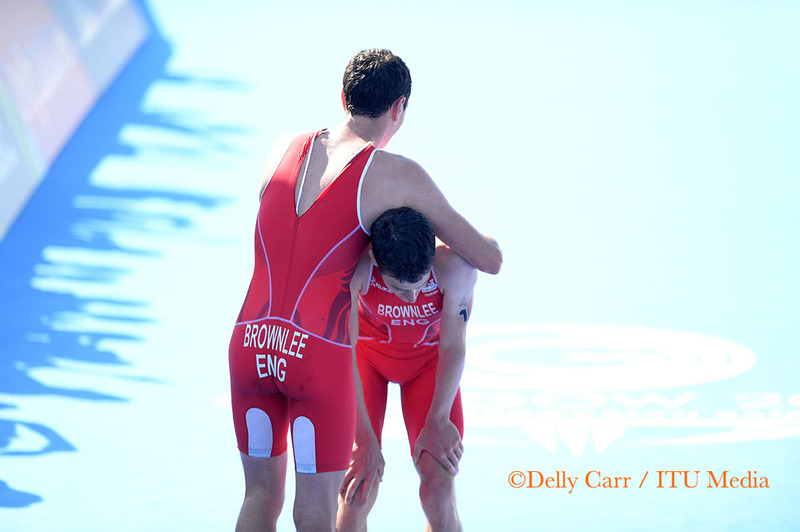 But it wasn’t enough to reel in the Brownlees. 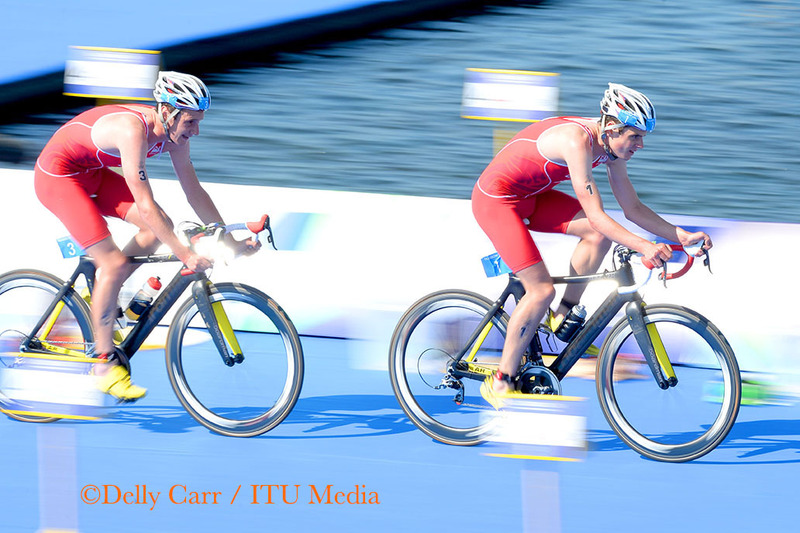 Up ahead, the Leeds-based brothers spit a spent Austin back out to the chase as they turned onto the bell lap. 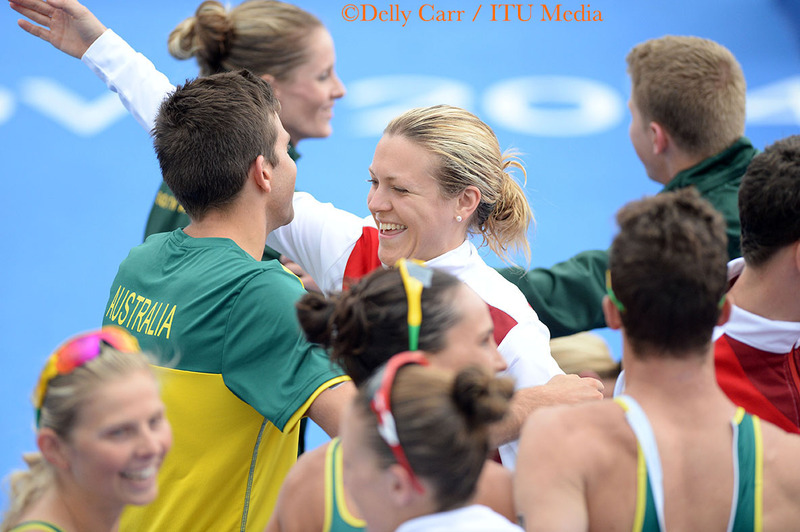 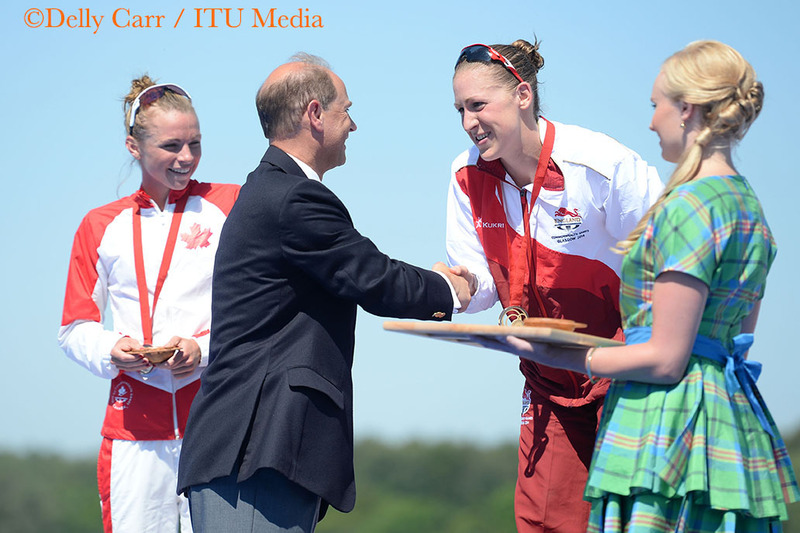 From there it was a sibling rivalry, as the rest of the Commonwealth nations were left to battle for bronze. 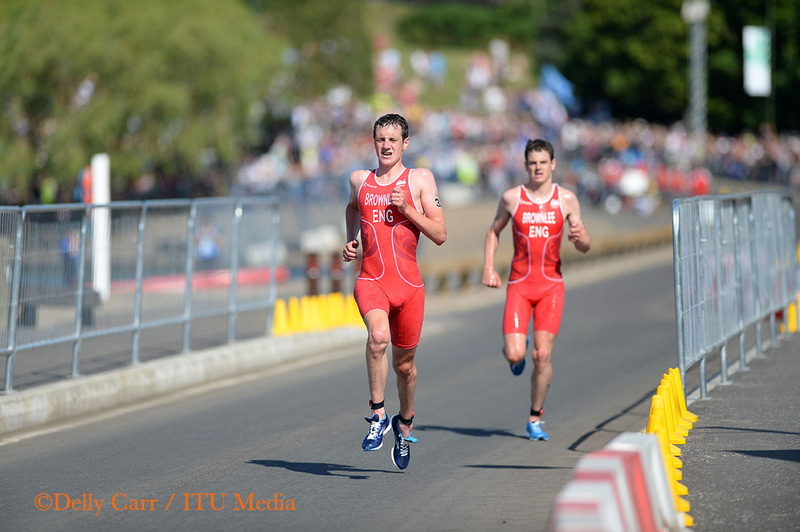 Not leaving anything to chance, Alistair started to leave younger brother Jonny behind early on the first lap. 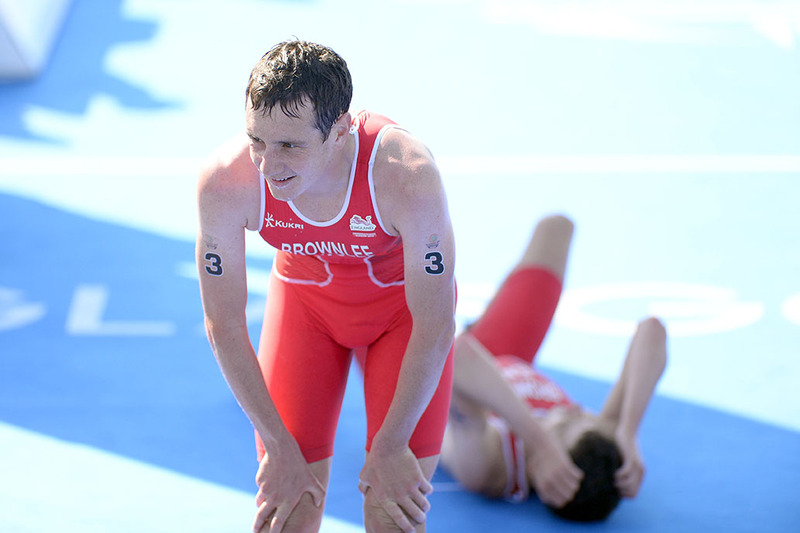 As he pased the first aid station, it was clear he would become the eventual winner despite another two laps looming. 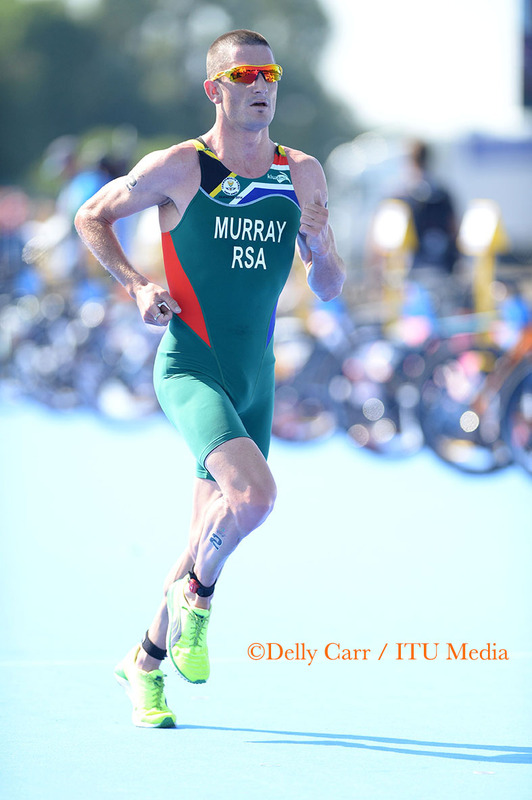 Meanwhile, the tenacious Murray ran away from the chase pack and never looked back. 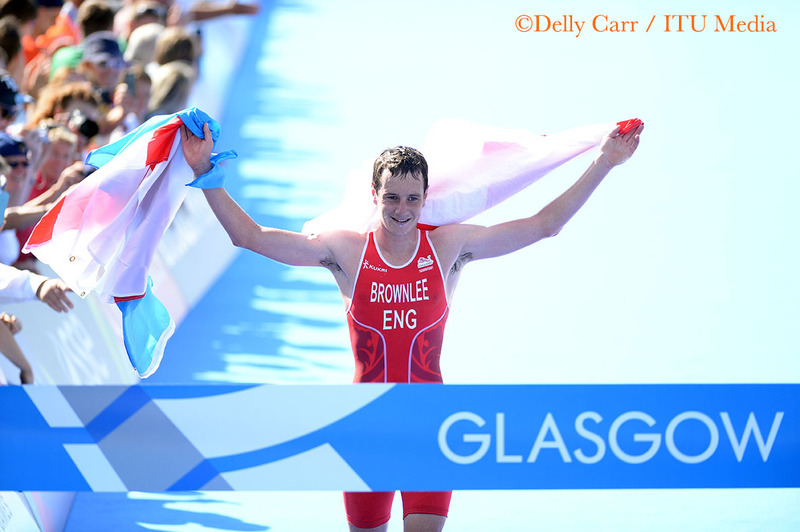 With a commanding lead down the finish chute, Alistair slowed to collect both English and Leeds flags and walked home for the win. 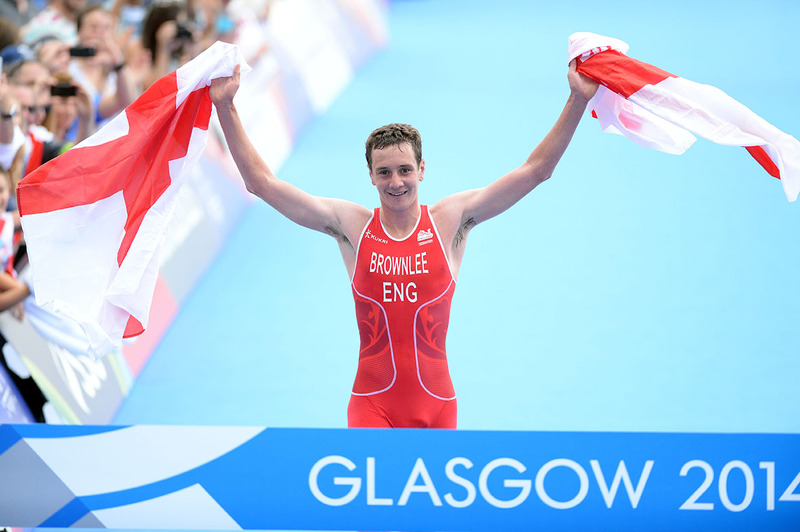 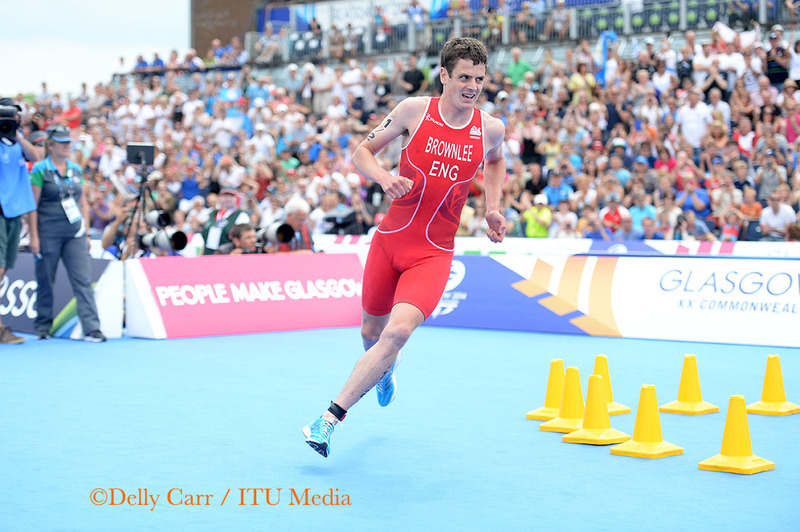 Jonny cruised over next, followed by Murray to close the day of triathlon in Glasgow. 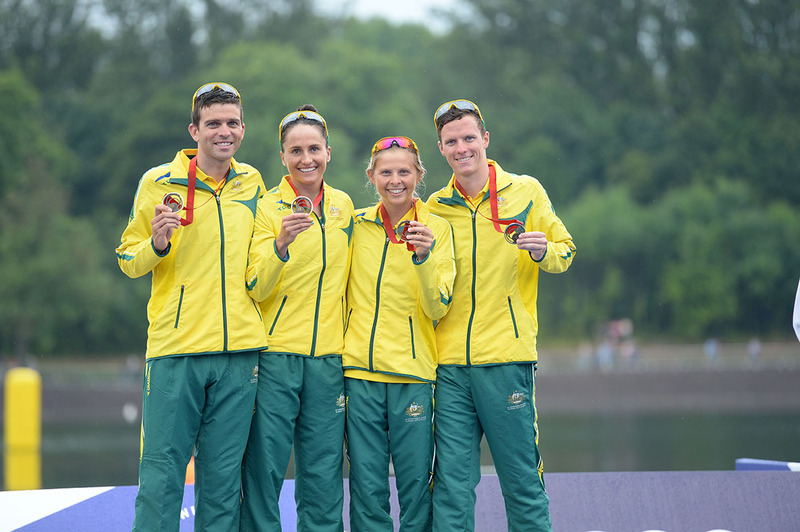 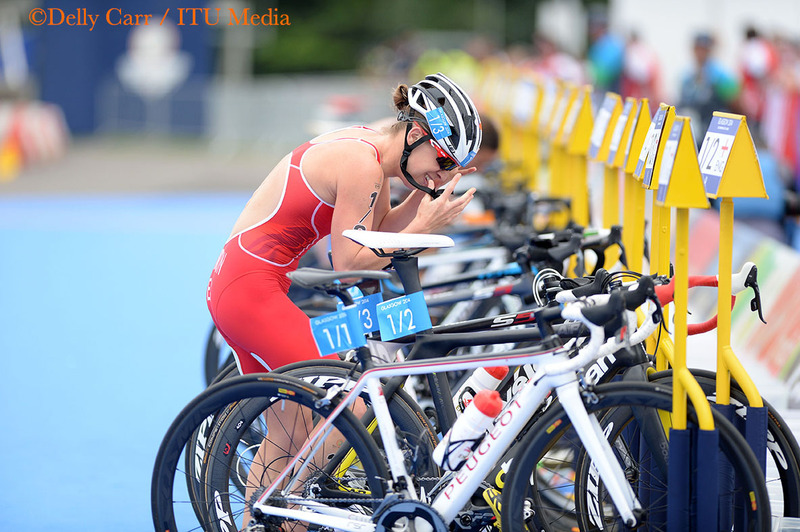 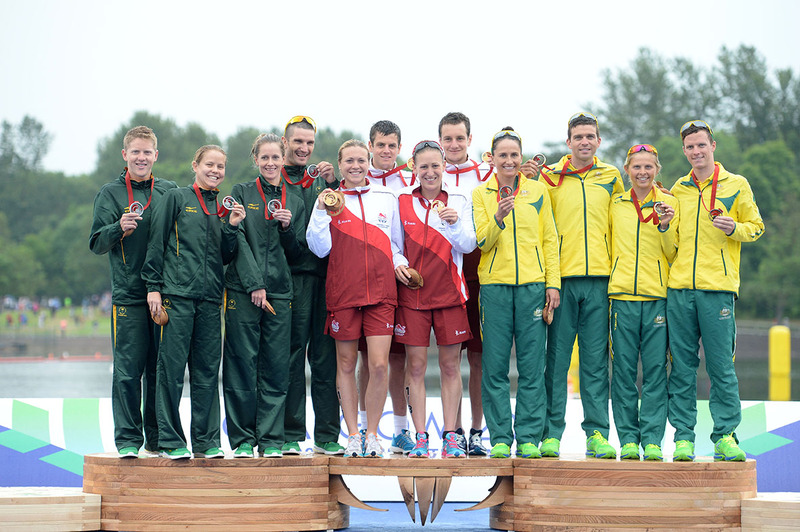 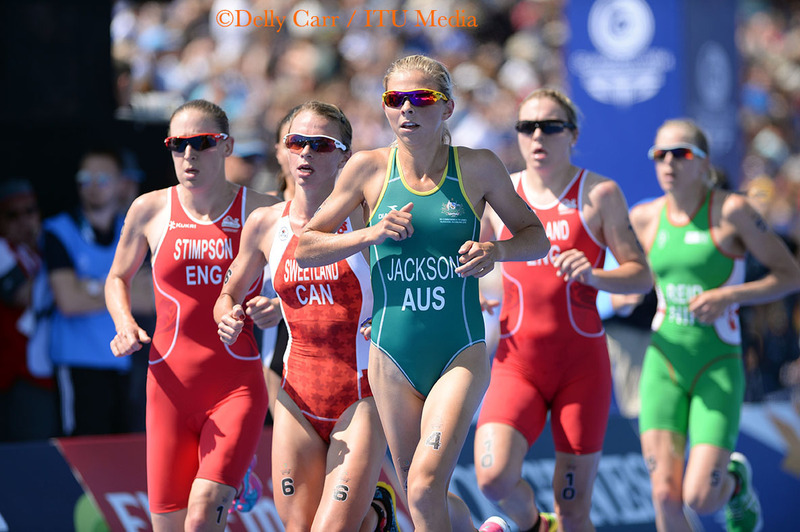 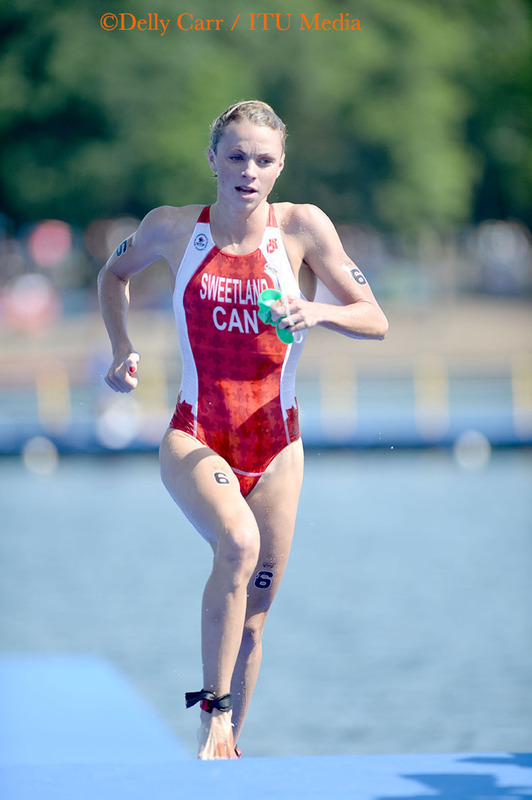 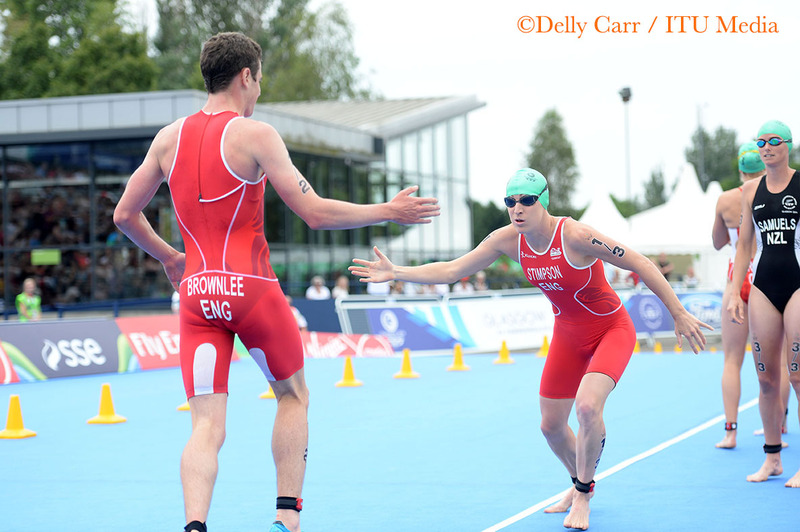 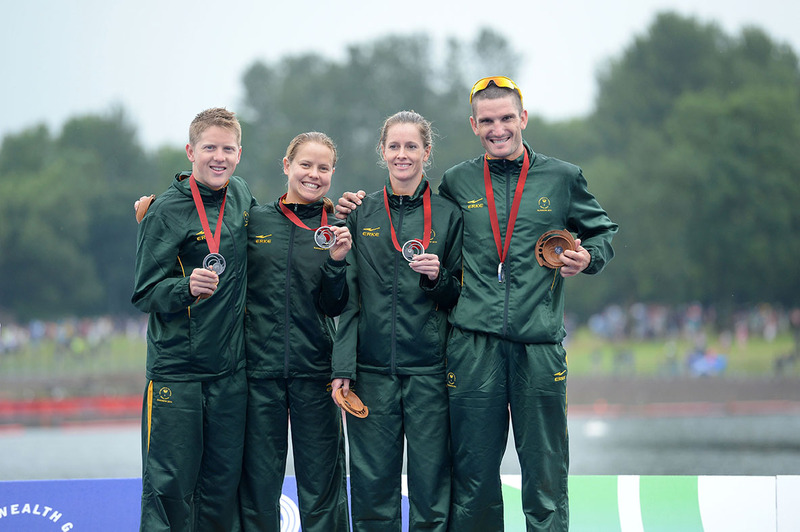 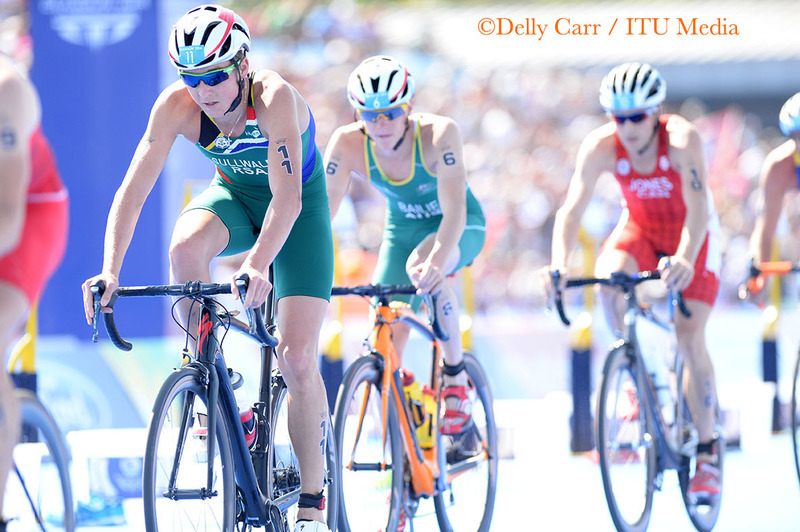 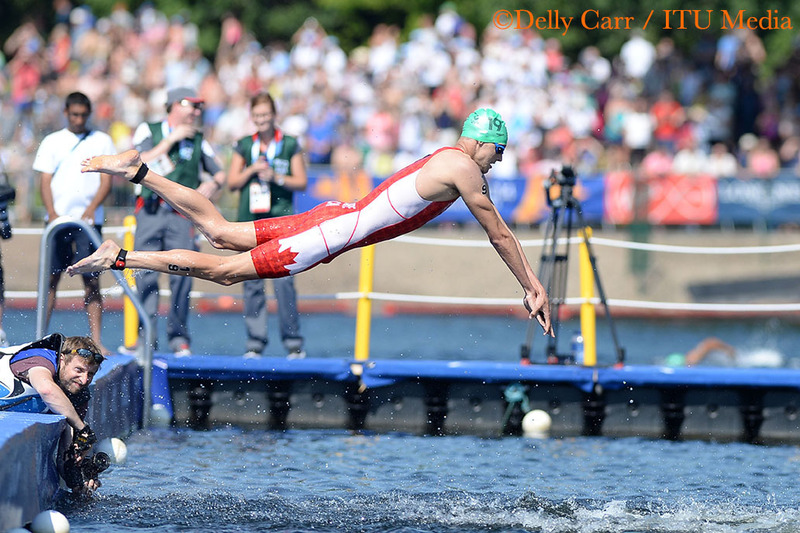 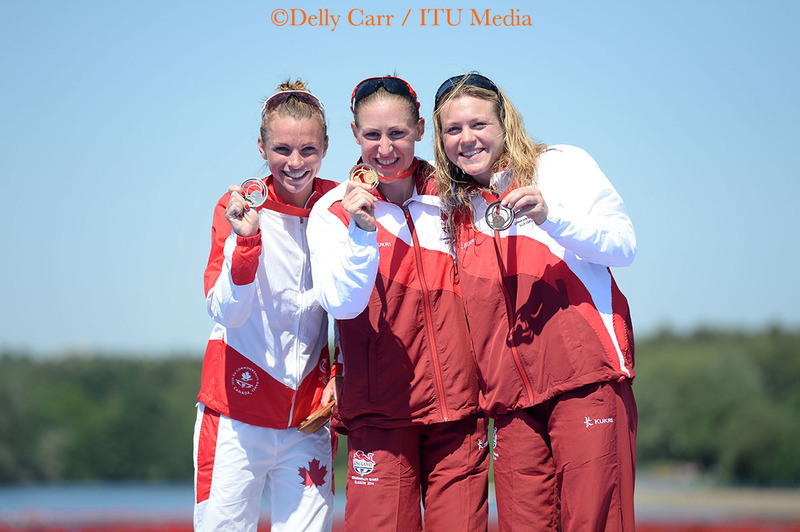 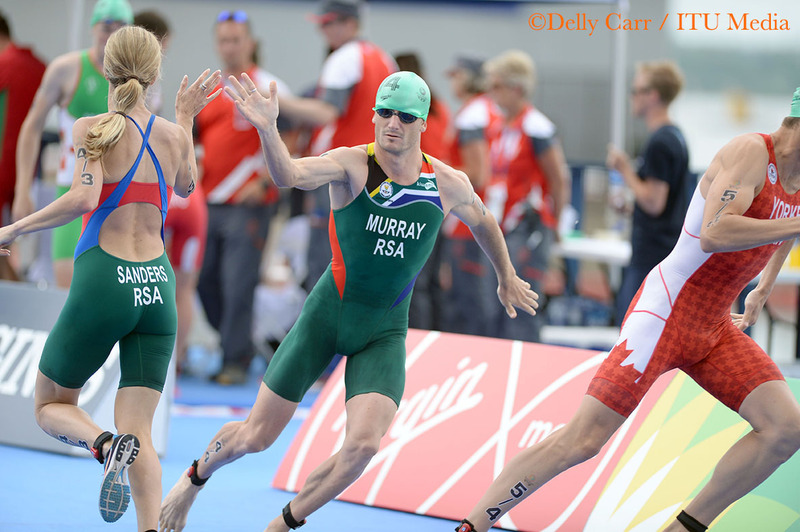 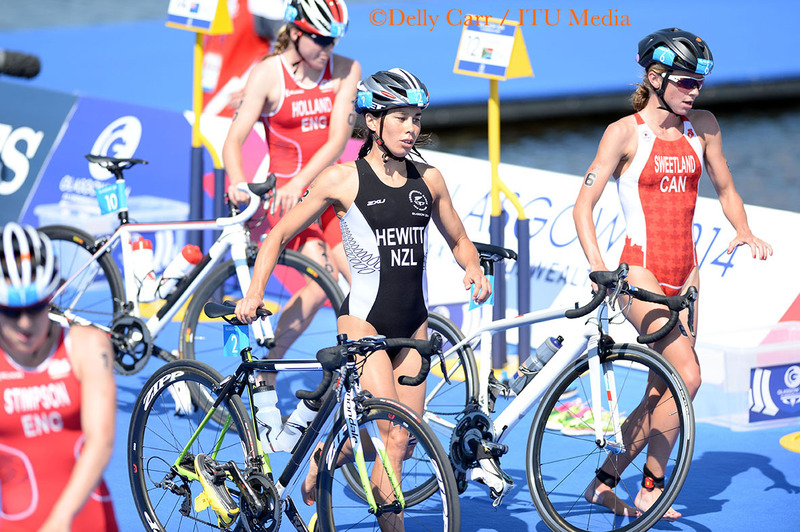 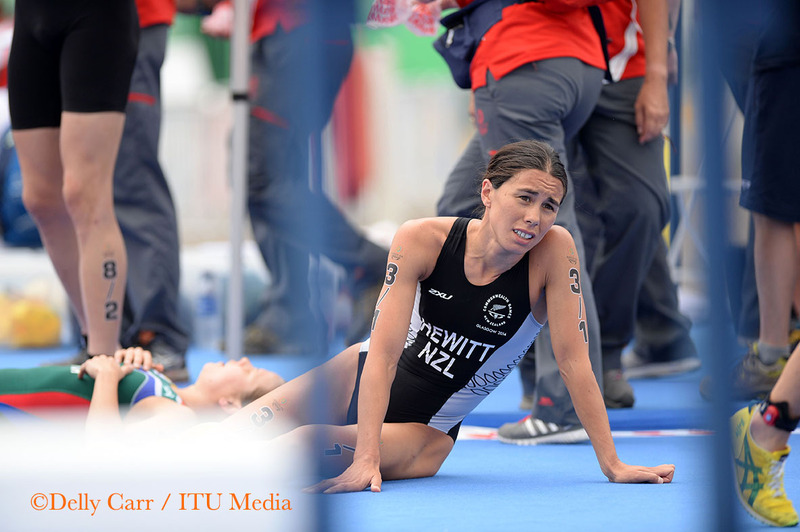 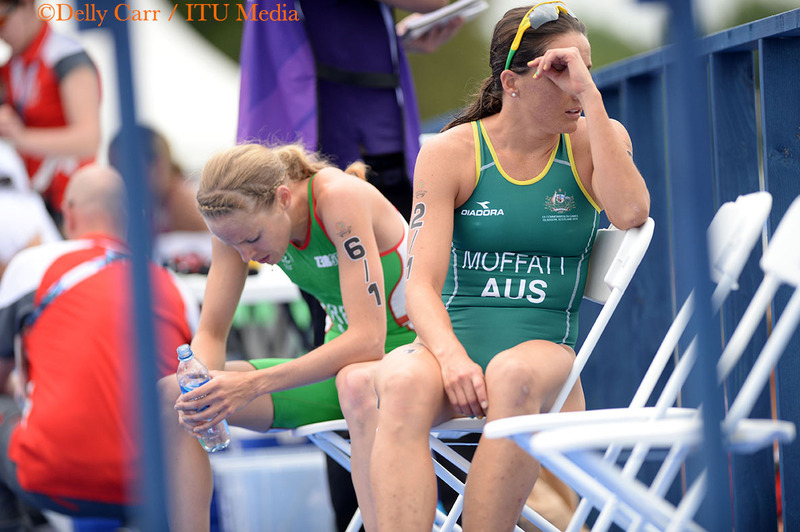 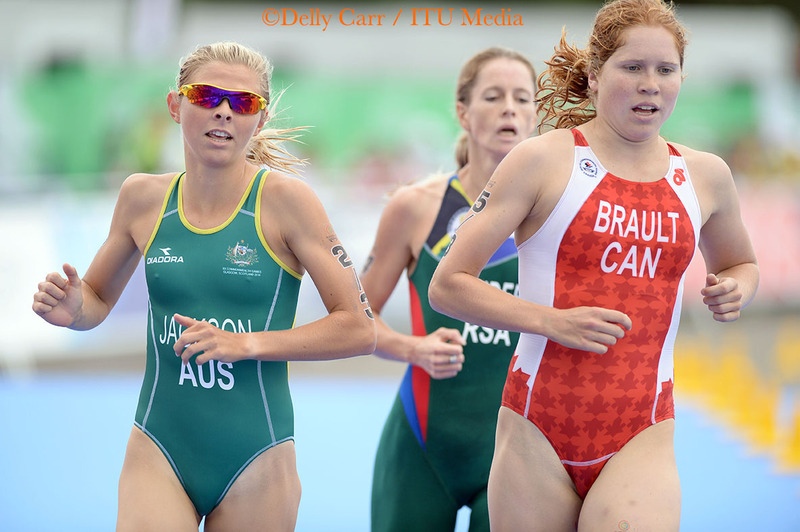 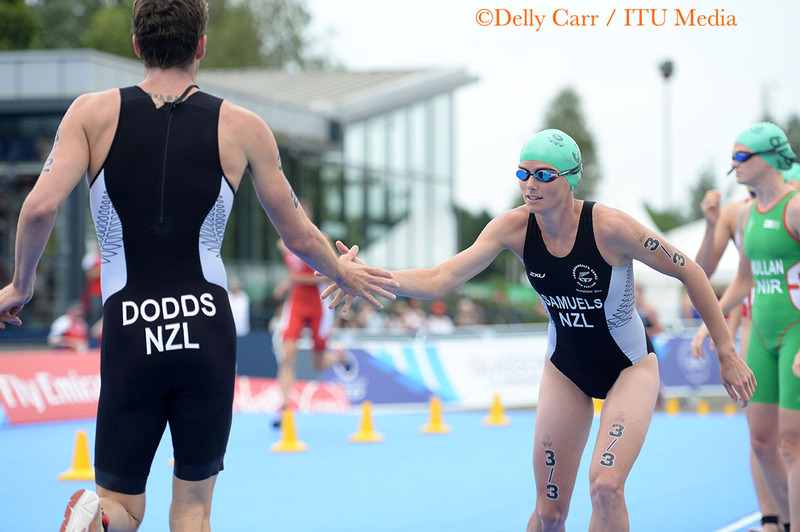 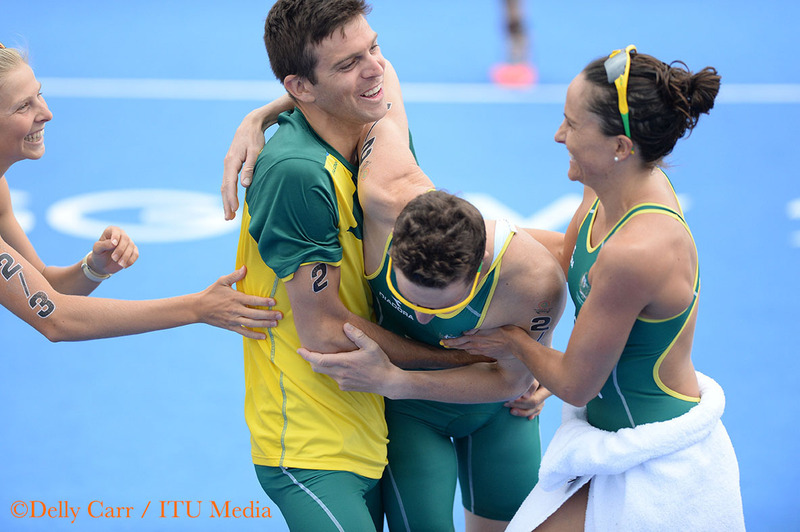 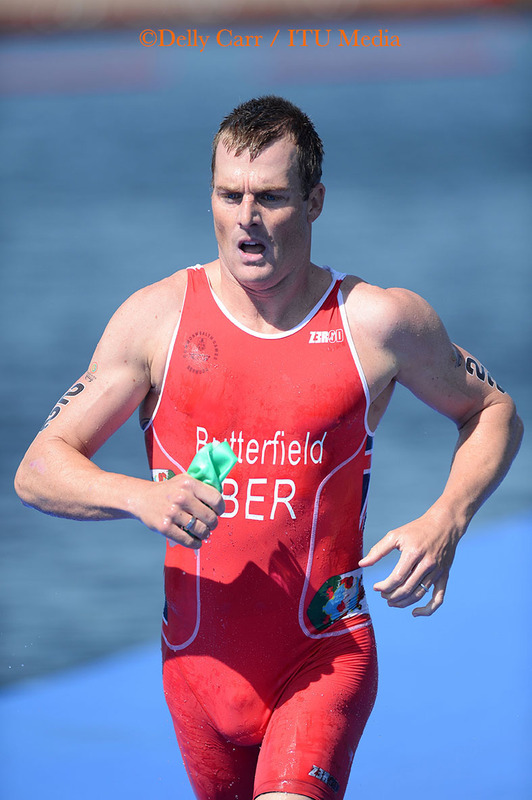 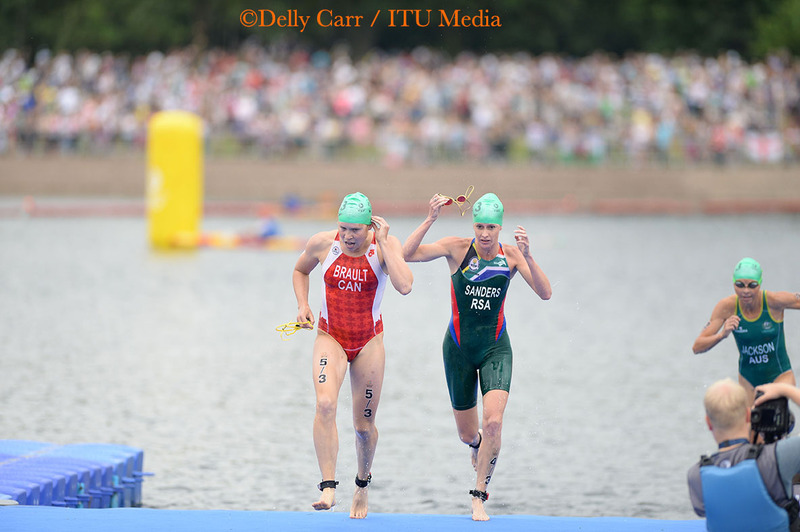 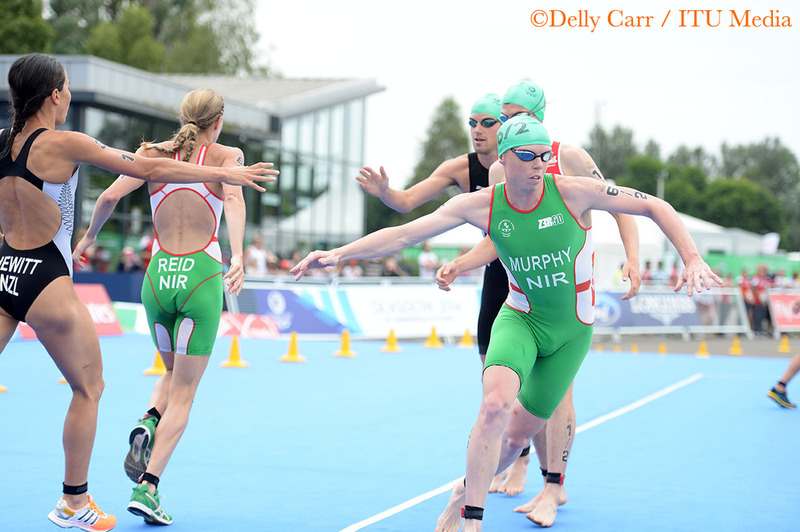 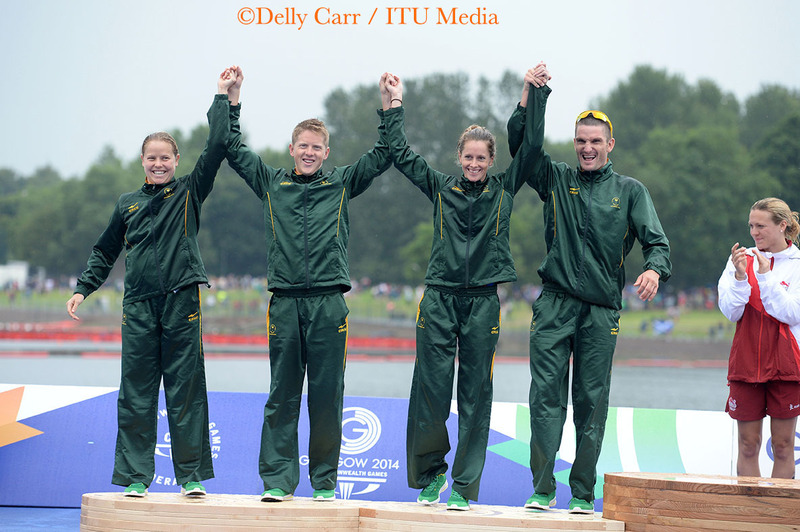 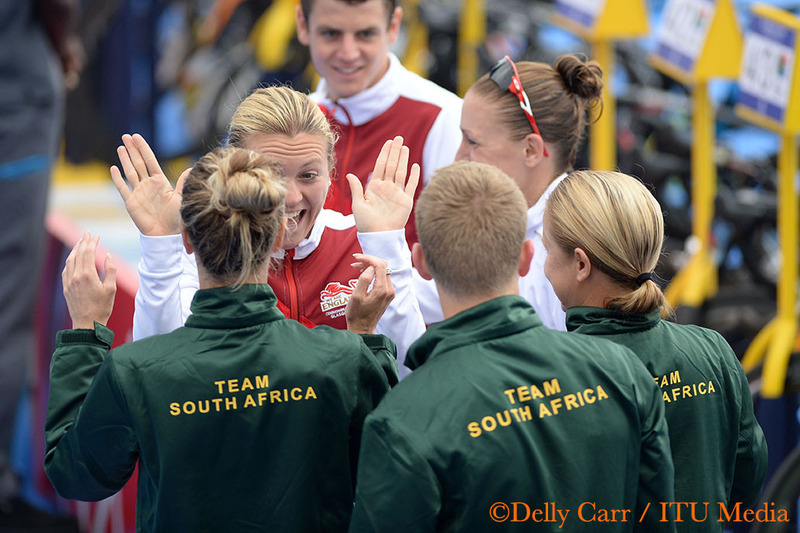 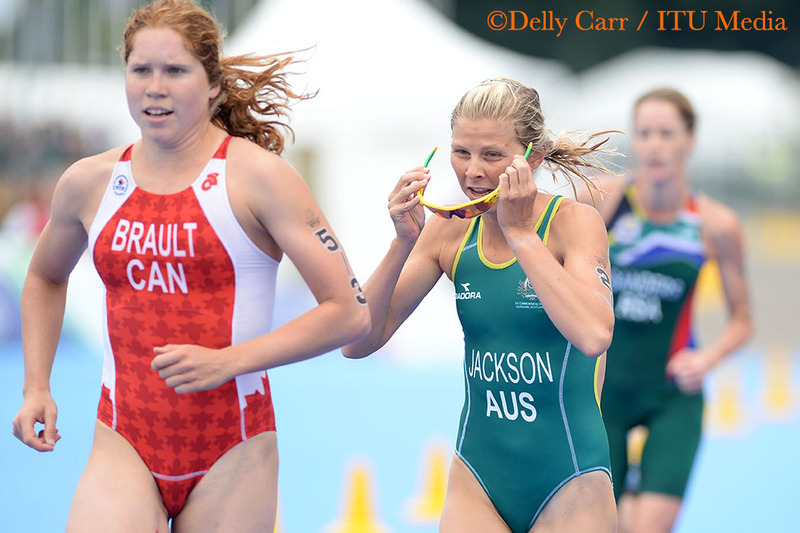 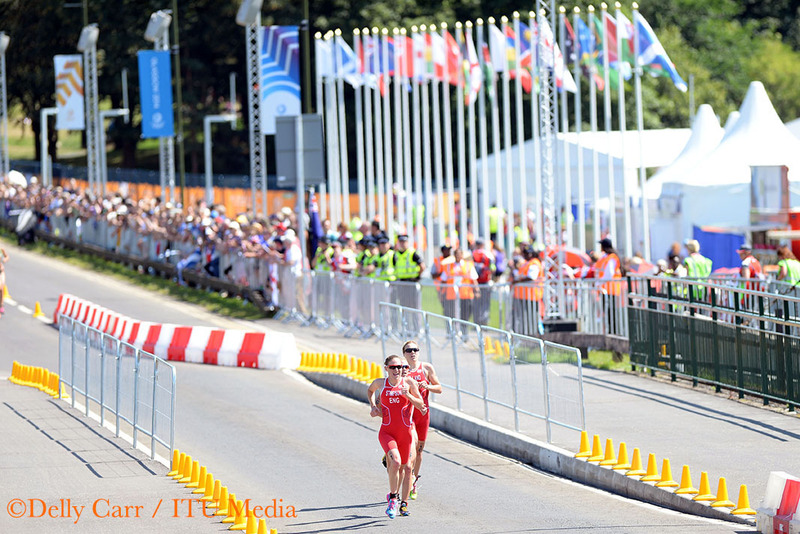 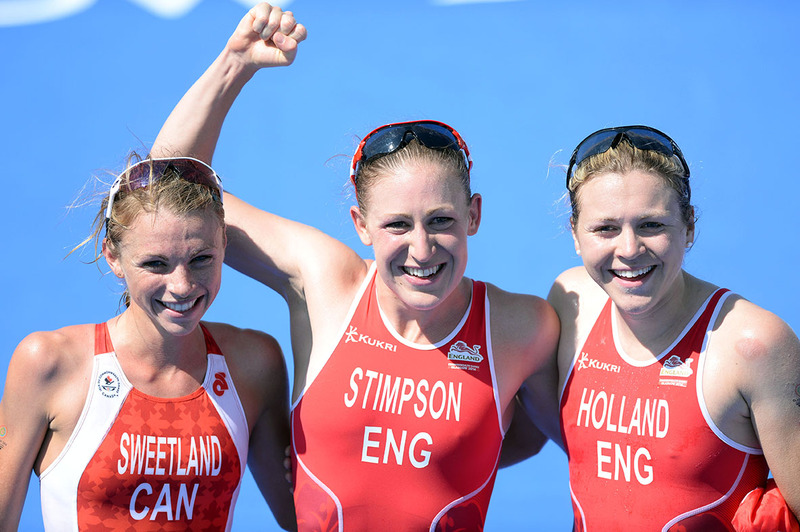 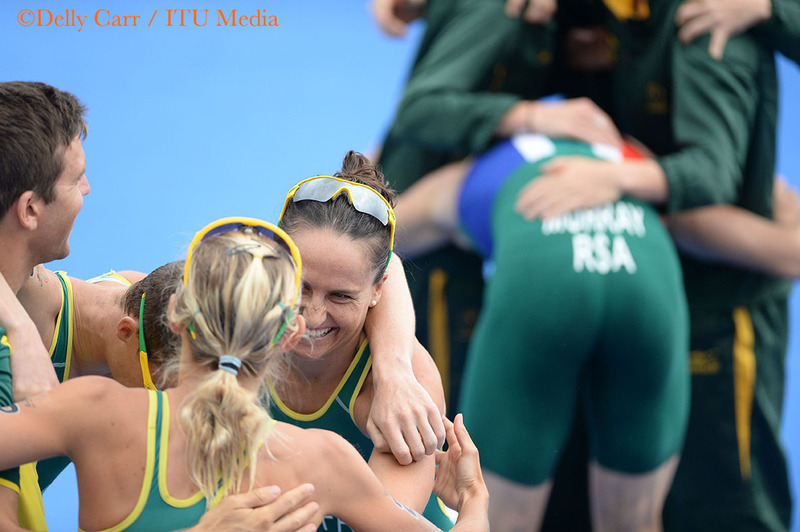 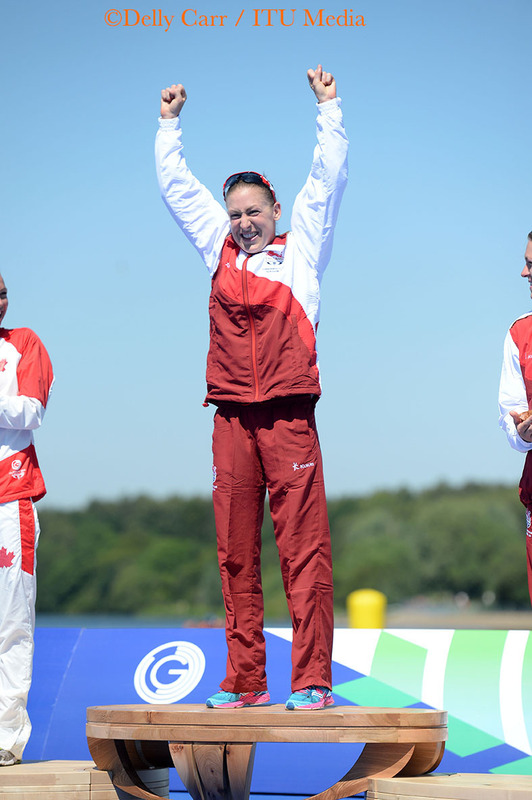 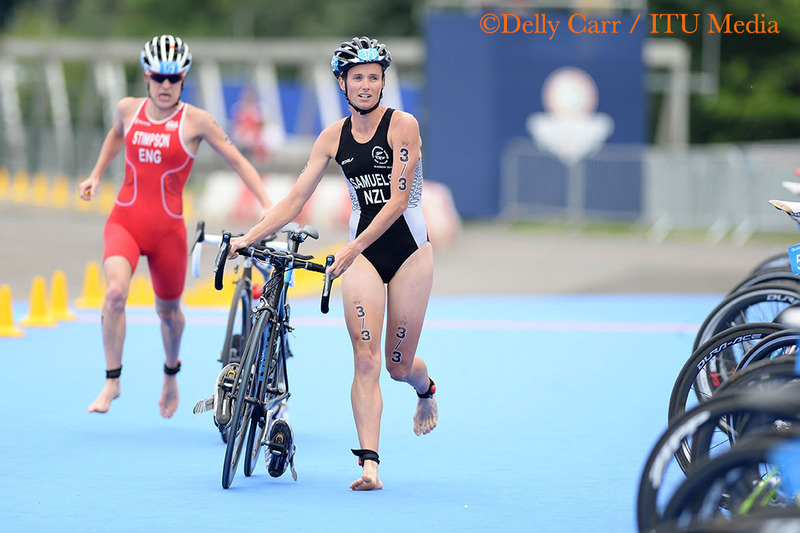 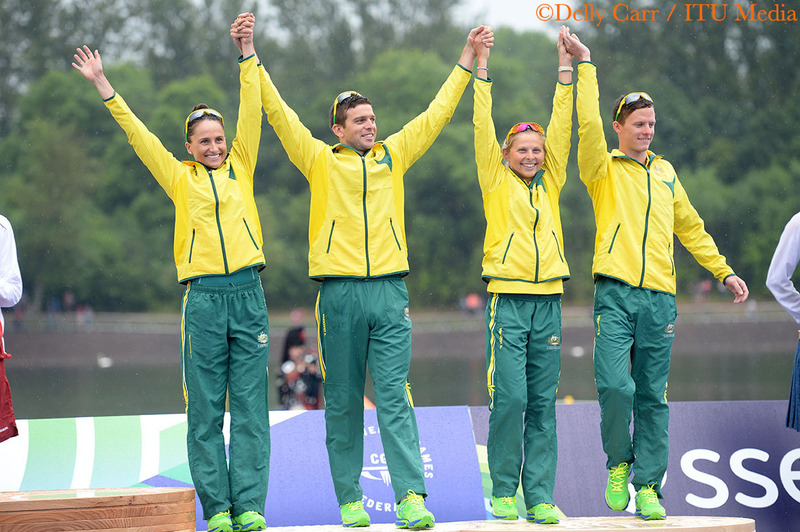 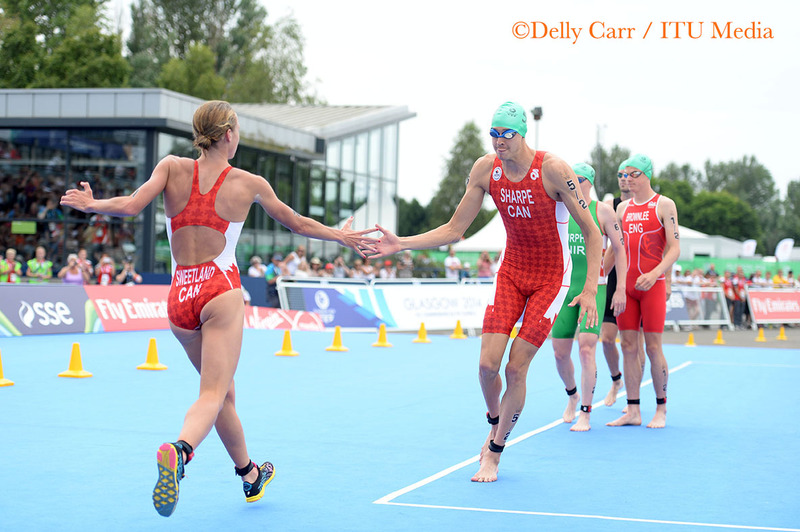 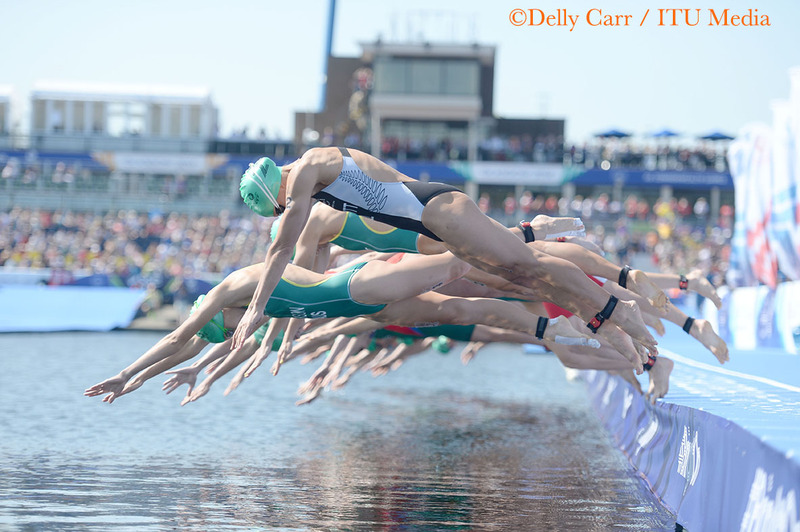 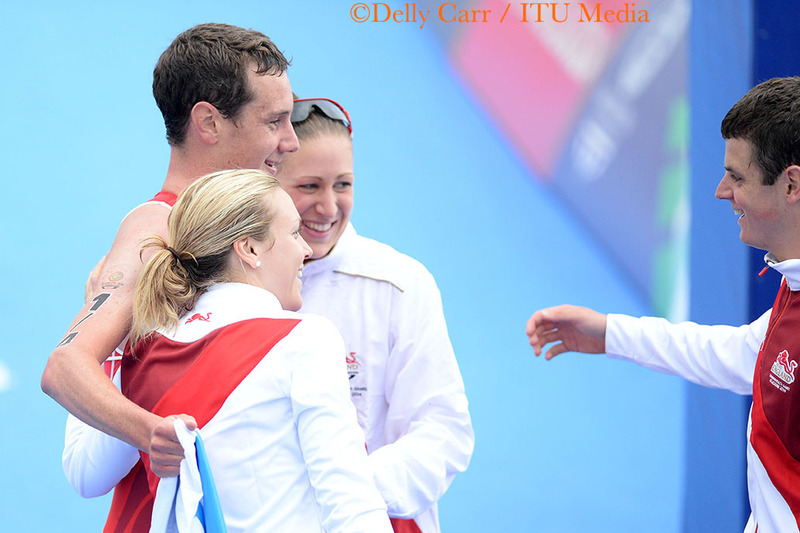 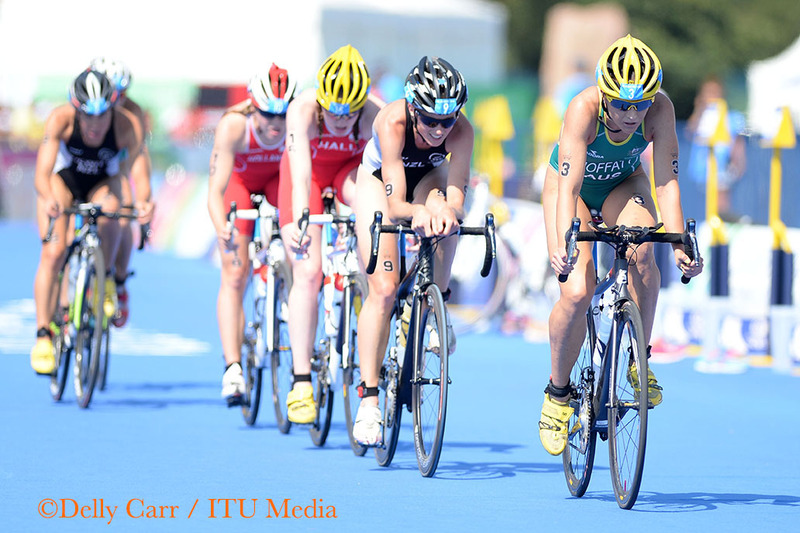 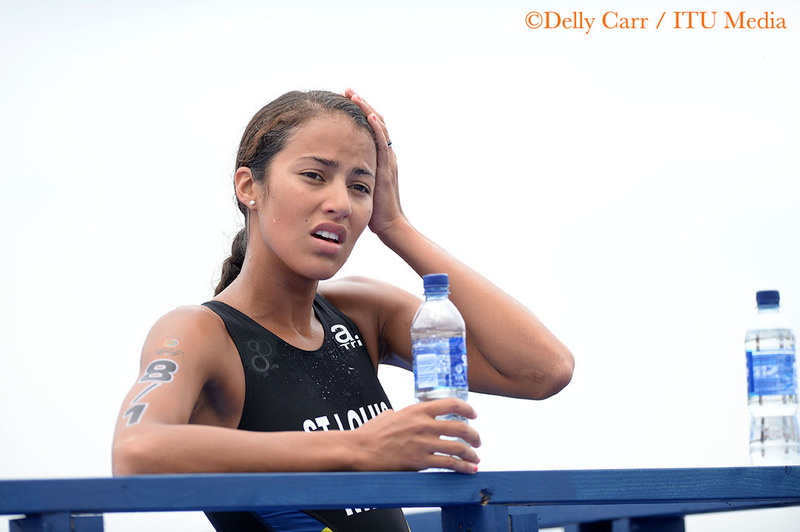 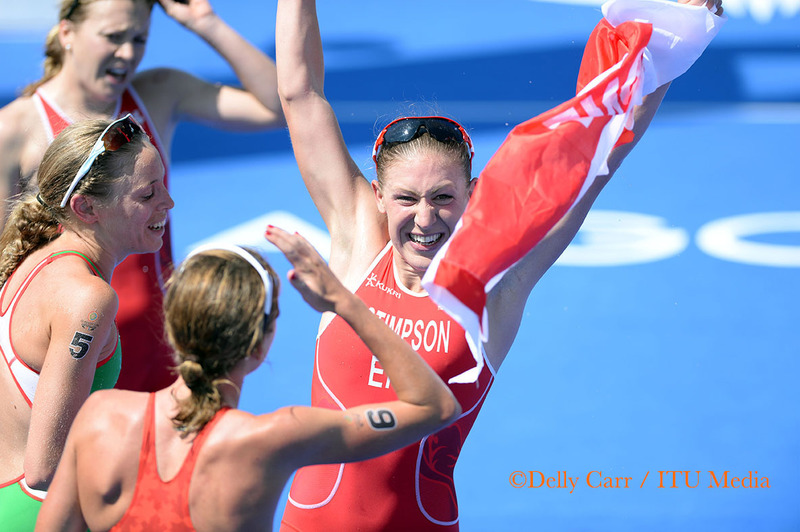 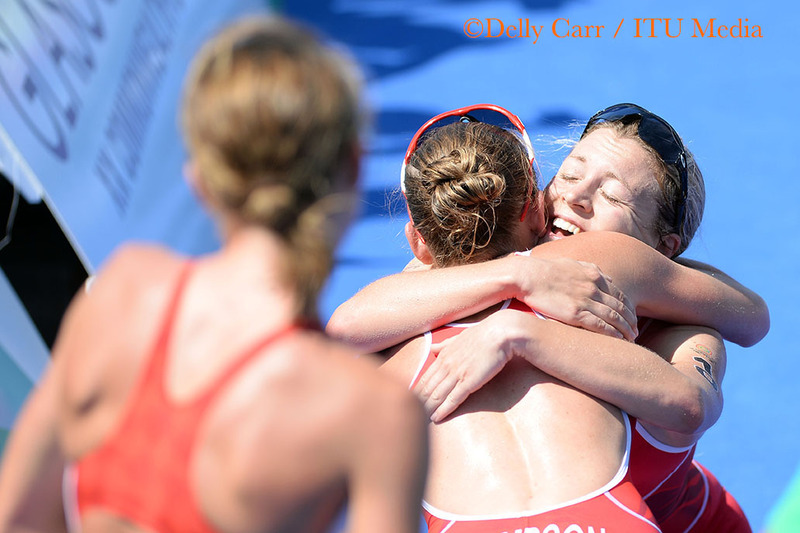 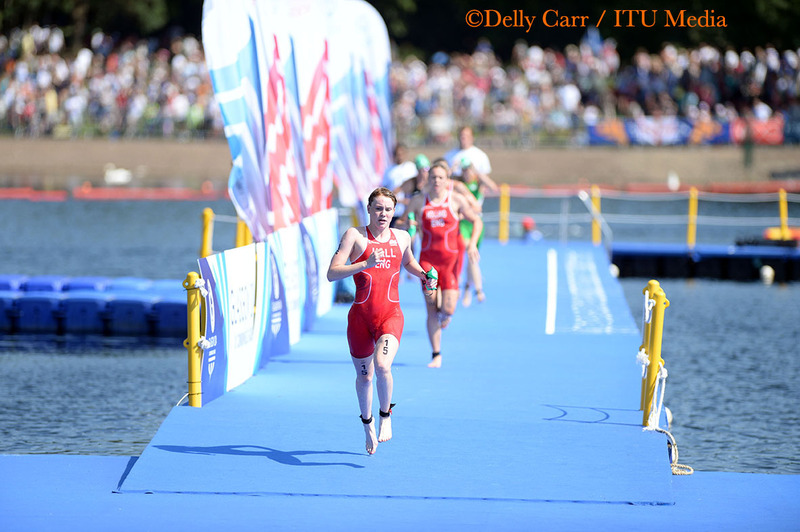 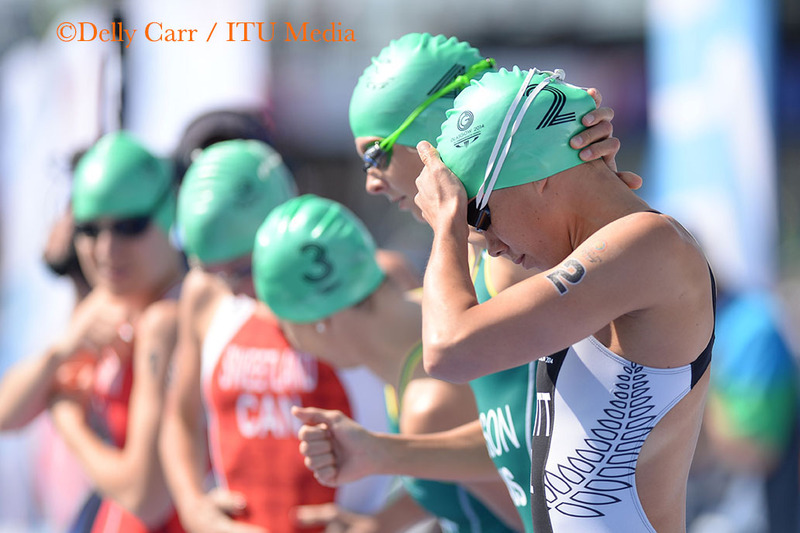 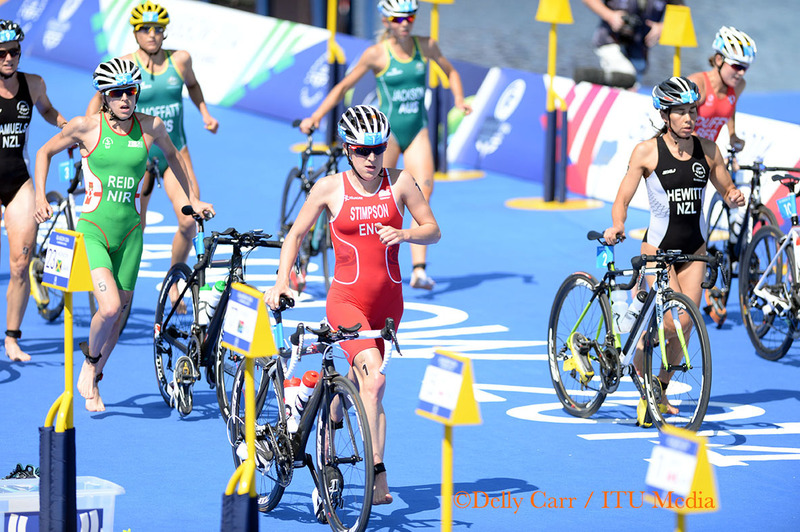 While the triathlon action is over for the day, the Mixed Relay remains on Saturday. 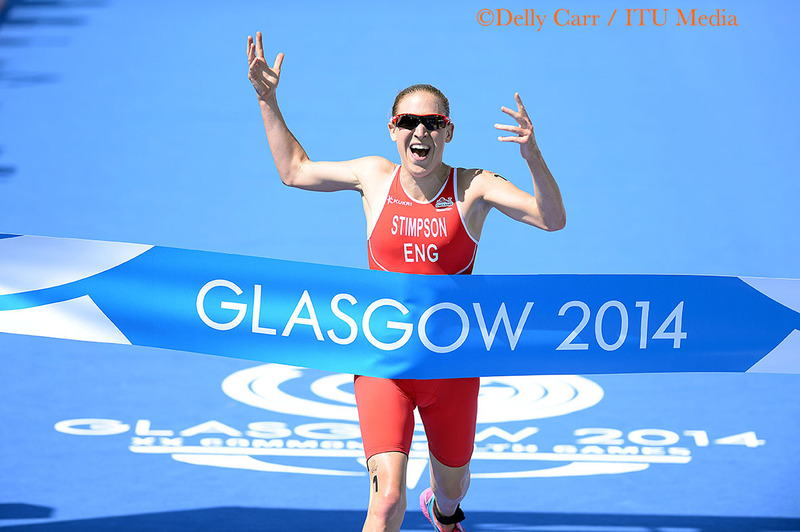 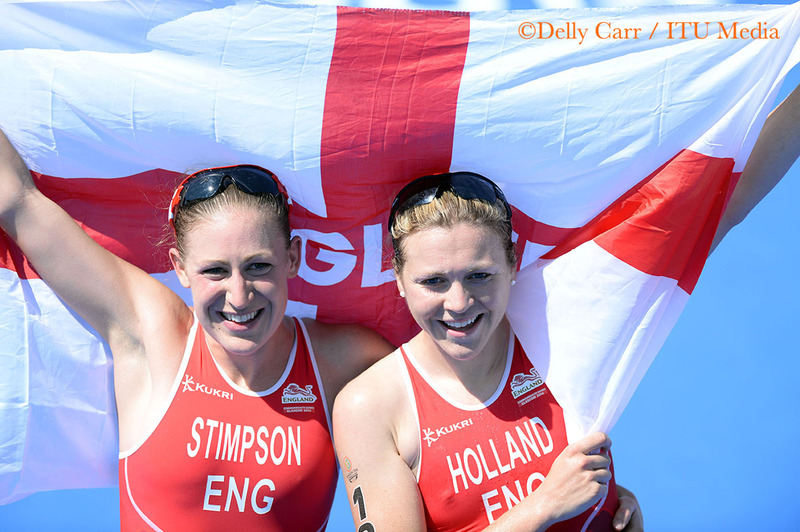 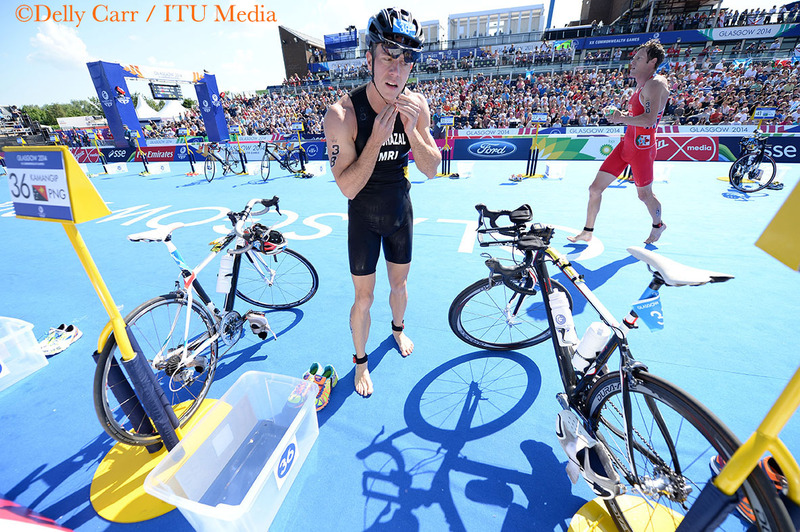 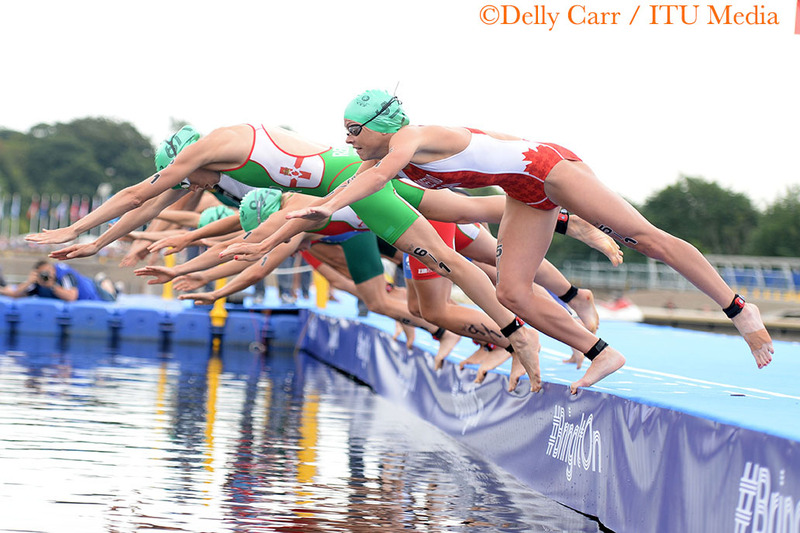 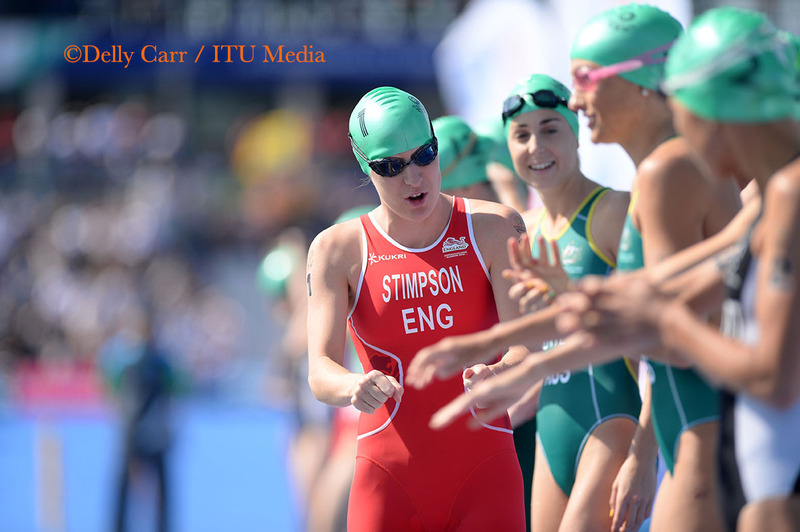 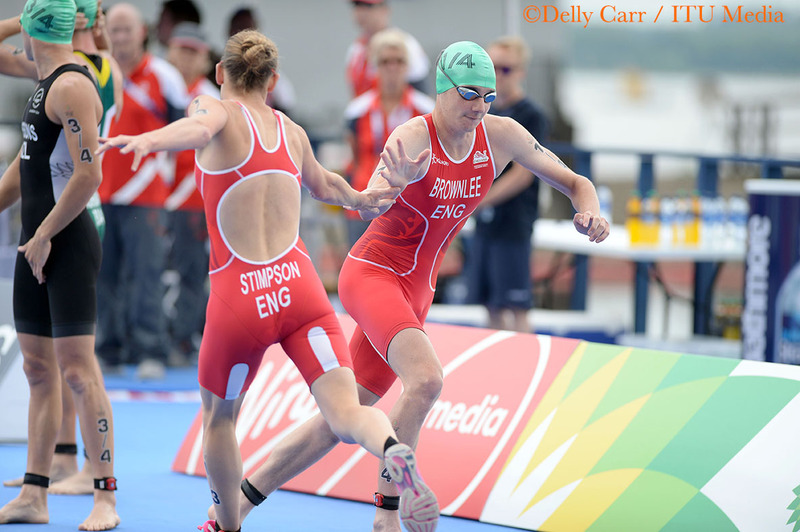 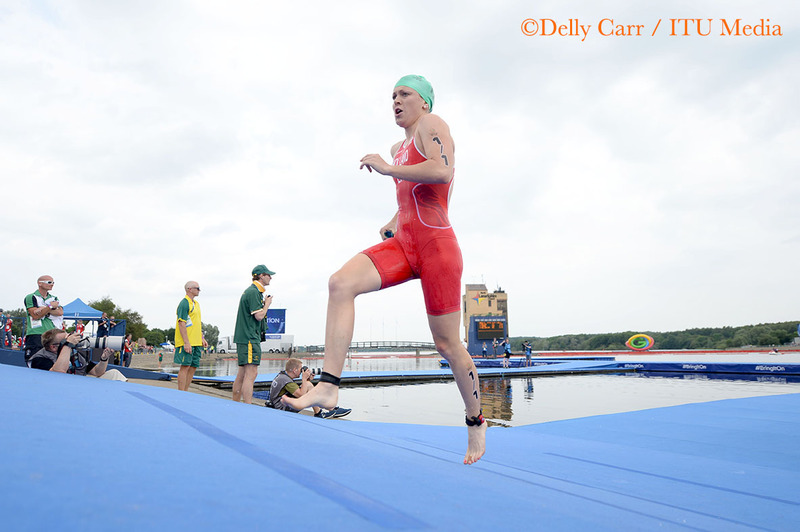 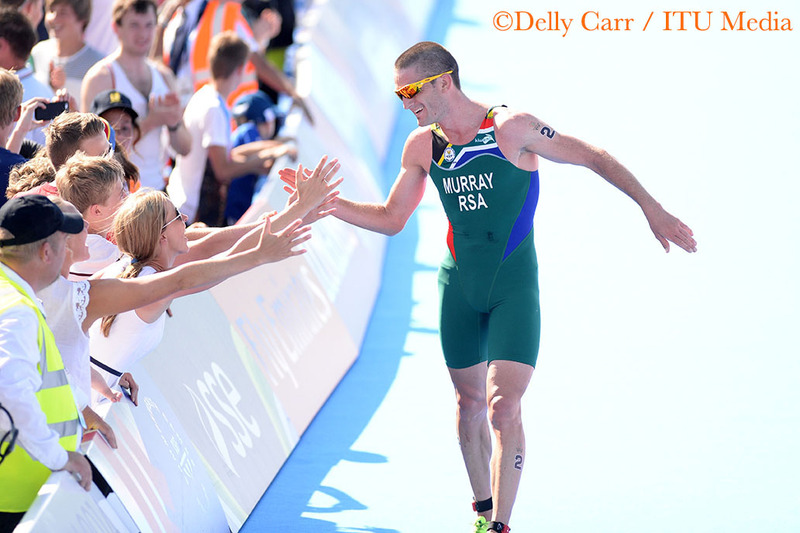 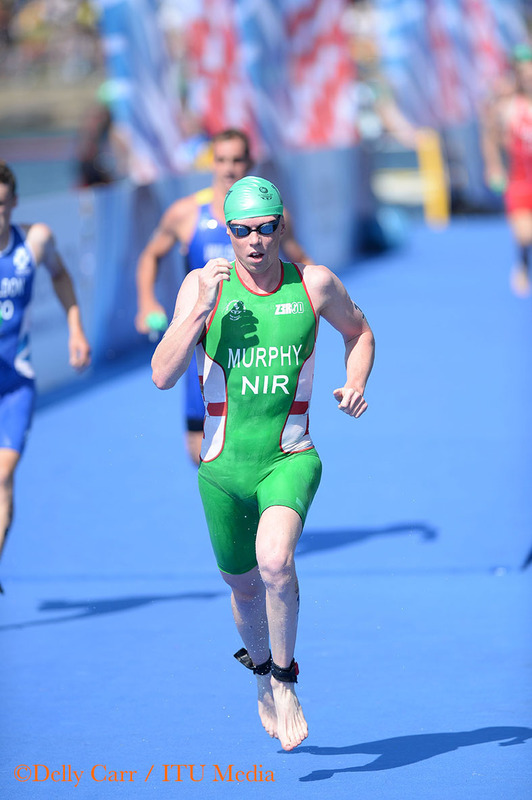 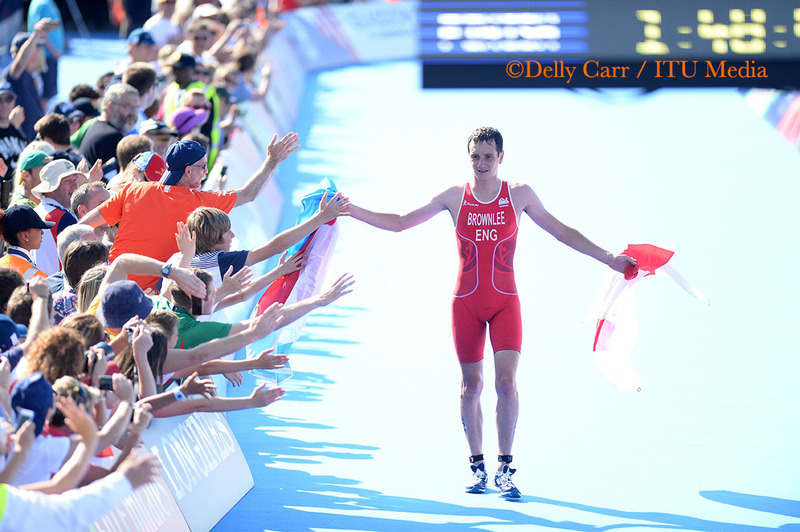 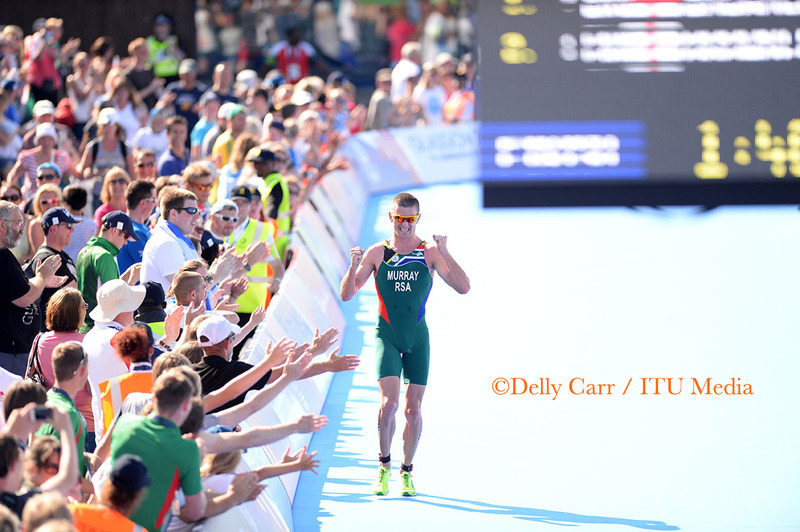 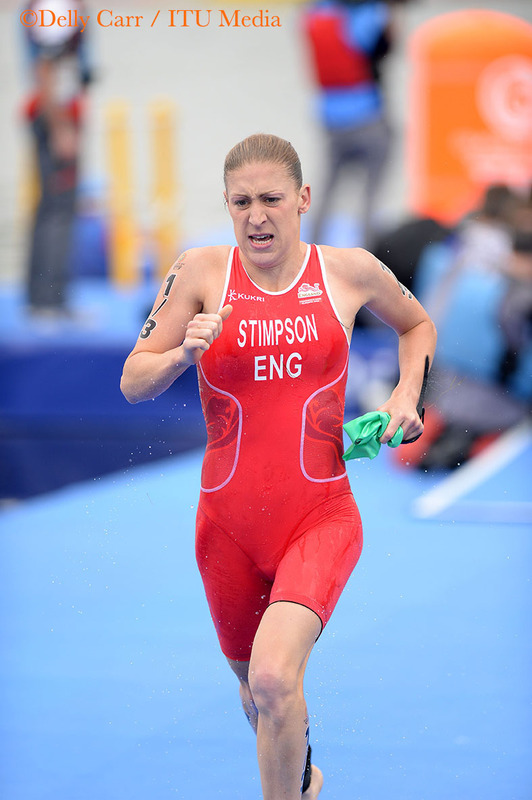 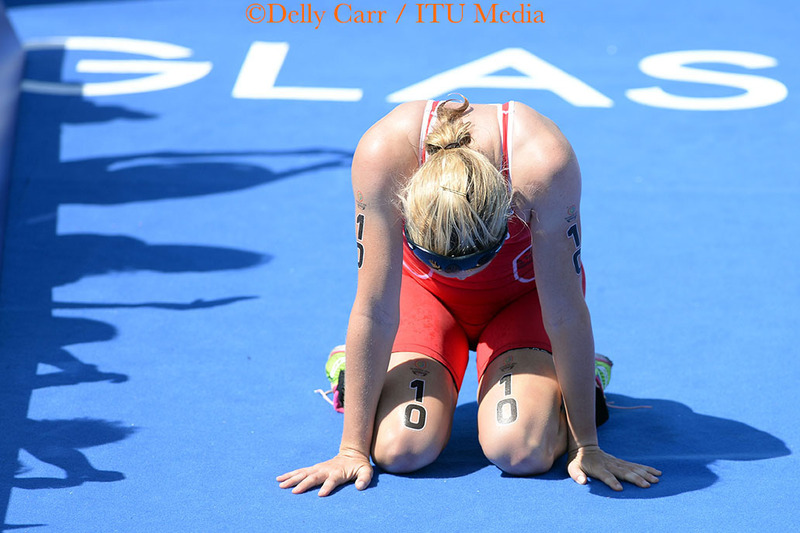 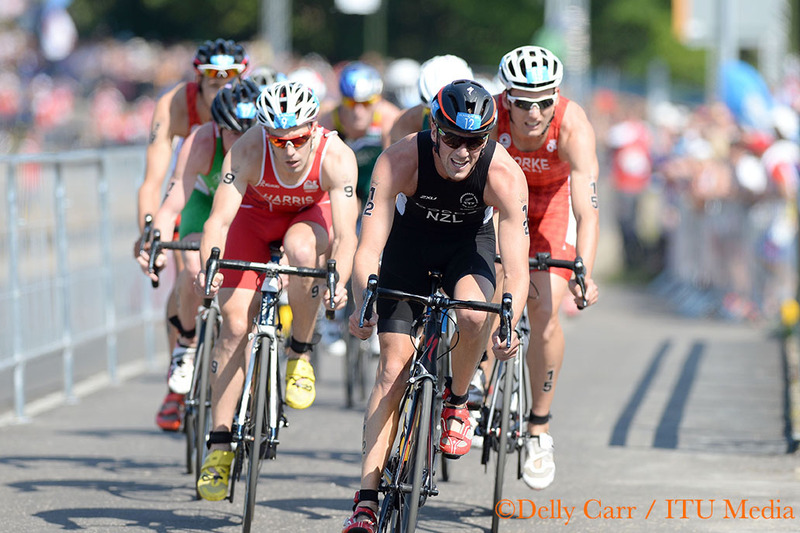 All of the triathlon superstars will return this weekend for the dynamic race, set to start at 12:30pm. 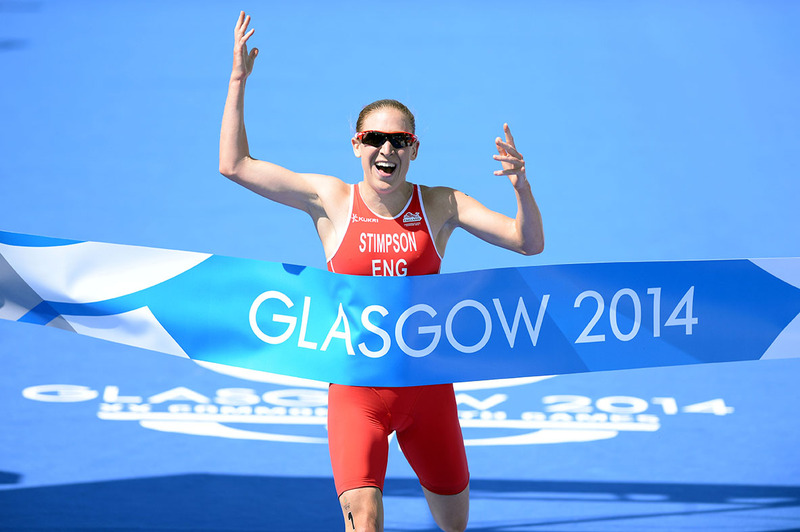 England's Jodie Stimpson put together a tactically brilliant race on the first day of the Glasgow Commonwealth Games to be awarded the first gold medal of the games, with it earning England its first ever triathlon medal. 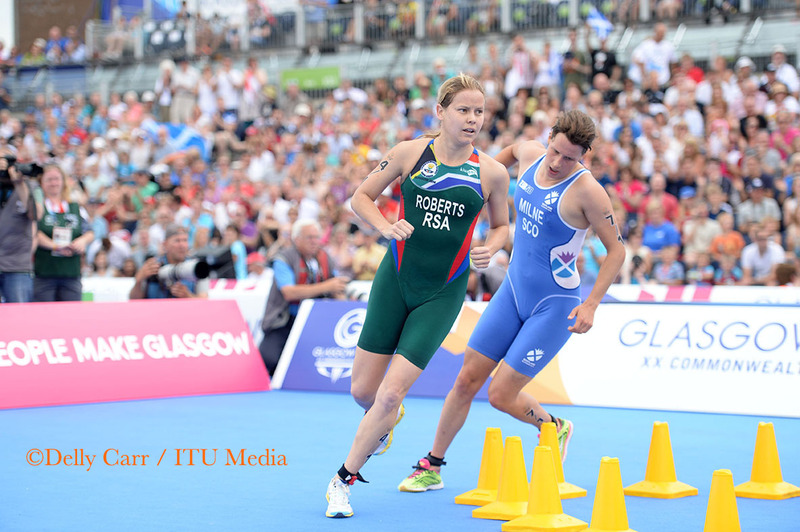 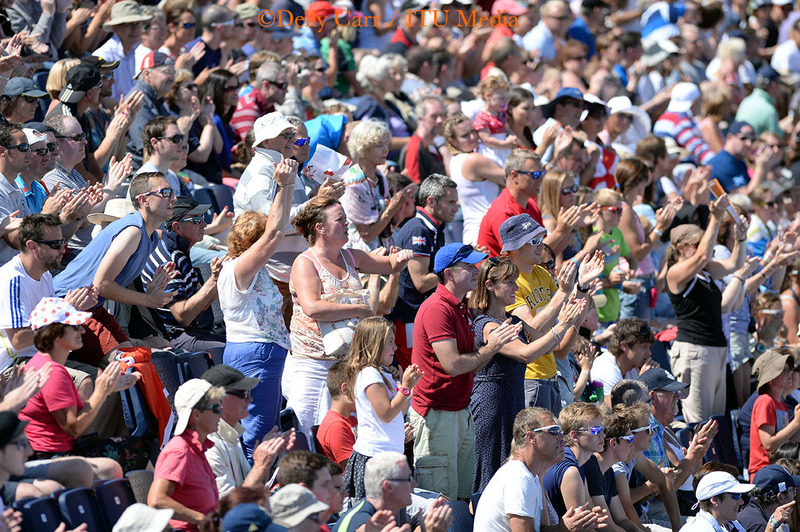 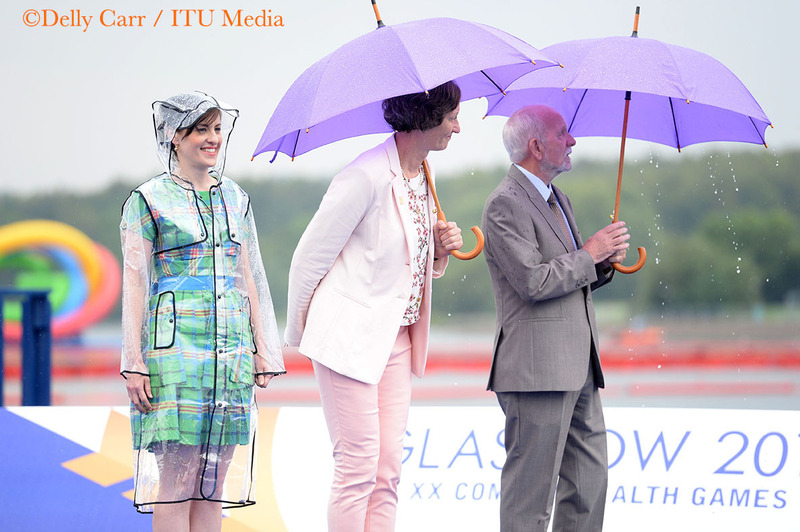 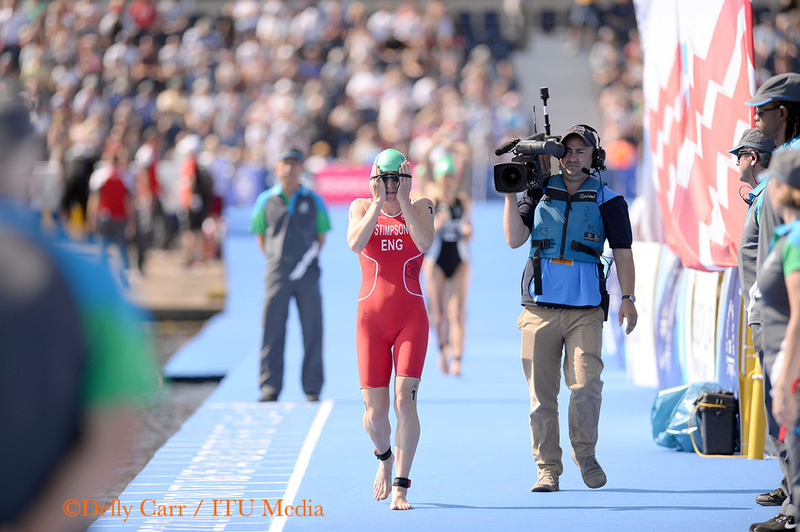 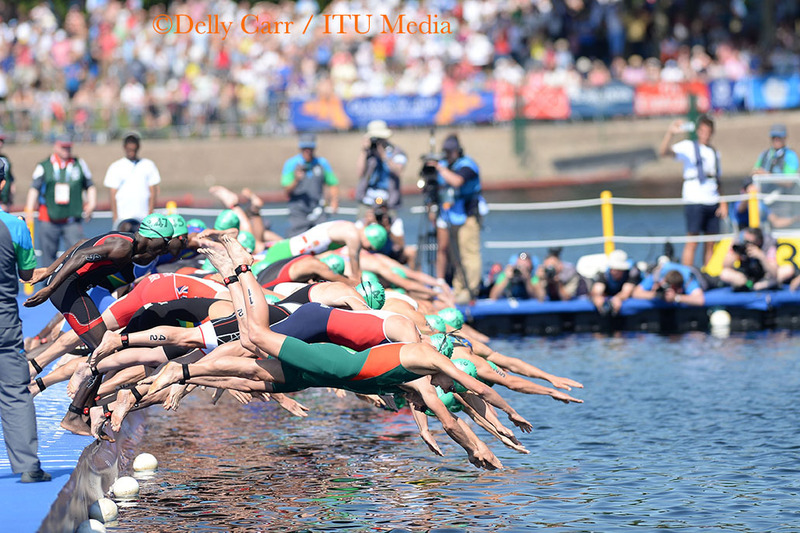 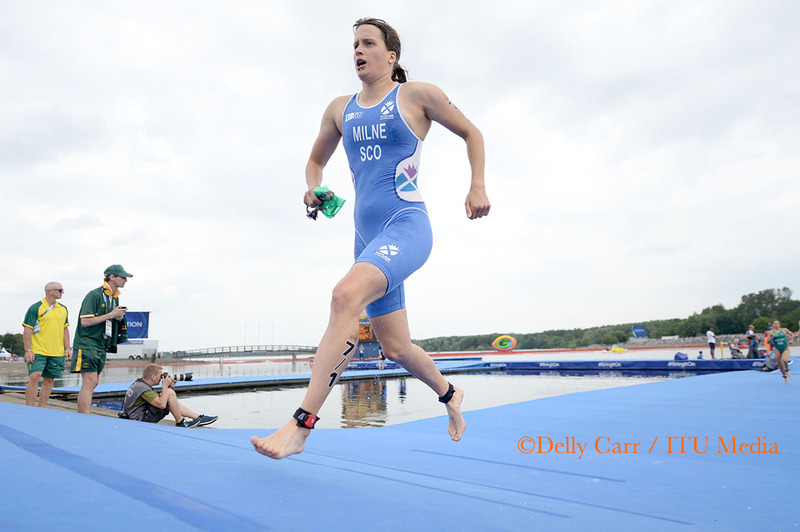 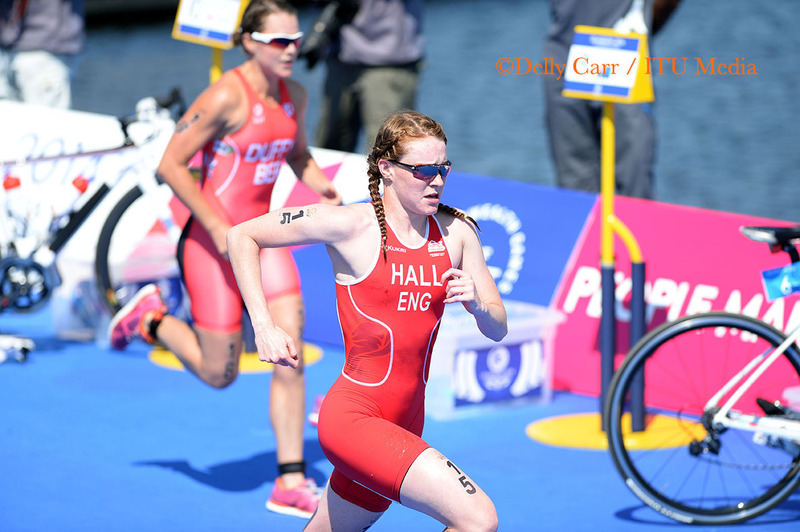 With the Glasgow Commonwealth Games just about to celebrate its opening ceremonies, we take a quick look at some quick facts about triathlon's participation in the major event.